I’m seated at the lobby of the pension house after having lunch at SM. Yup. That’s S and M in capital letters. A place I’m not normally associated with. 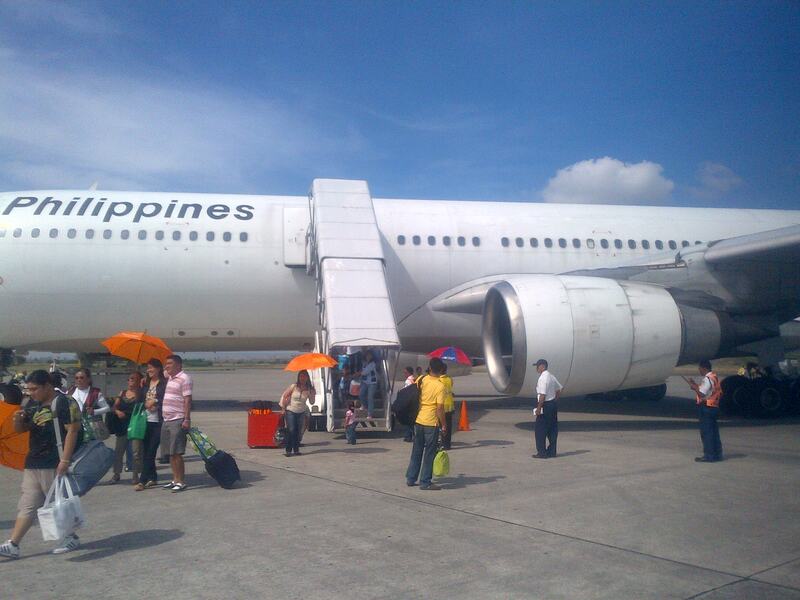 I arrived here in General Santos city (GenSan) just before noon. I could have stayed another day at Lake Sebu as I don’t fly back to Manila until tomorrow afternoon but I need a day to transition from the quiet of Lake Sebu to the chaos of Manila. GenSan is my half-way house. 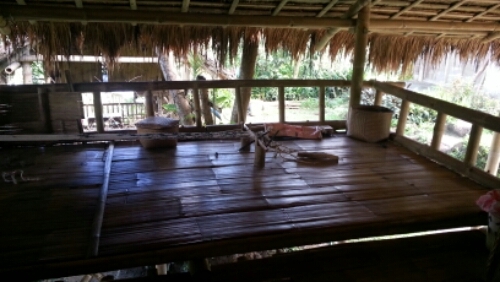 I could also have stayed a wee bit longer looking out of Oyog’s bamboo veranda to the lake waters. 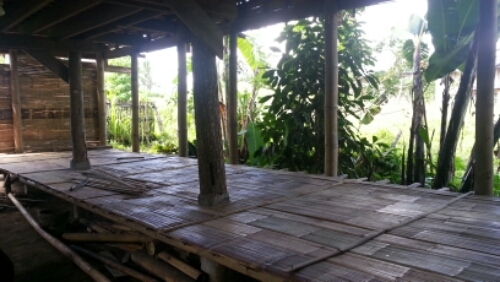 However, as I sat on the porch of the big bamboo house while all around me the family members who have since become my friends after many visits went about their business, my heart began to break. I had to make my exit. I wondered how Martha, the Taiwanese guest, felt upon leaving? So instead of being surrounded by the happy sounds of children playing the t’nonggong, I am barraged by noise from tricycles. I inhale fumes instead of fresh air. I see grey not green. 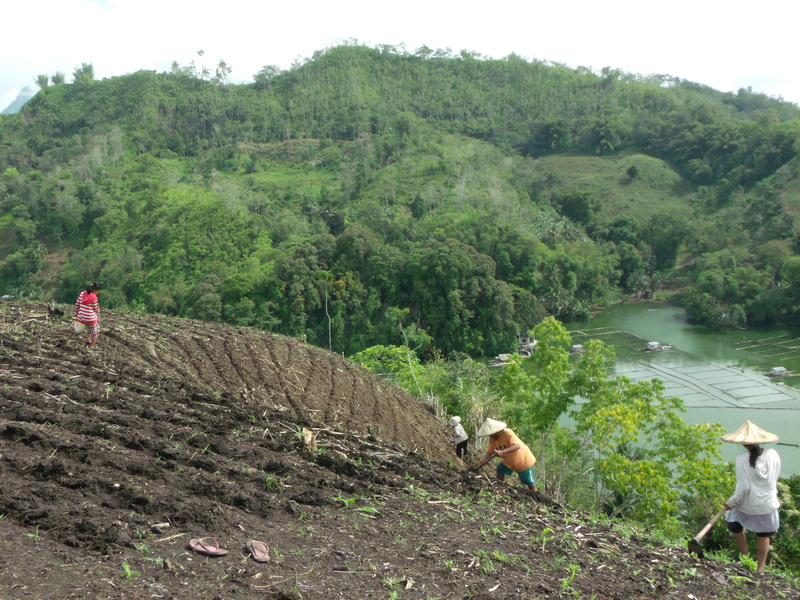 My many visits to Lake Sebu has come to mean more than data gathering so I can earn a graduate degree and be respectable. Each time I visit, I feel I am coming home. It is an inevitable fate that a researcher’s life, if he has truly immersed himself in the community he studies, becomes intertwined with those of his subjects. Stone-hearted is he who sees informants and not people. Who gathers data and not friends. Who writes a paper and not a story. So I need to transition from warmth to cold. 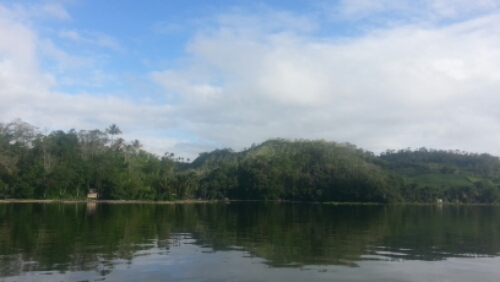 From Lake Sebu to Manila. It is here in GenSan that I shed-off my aches so I can fly back home with my heart. 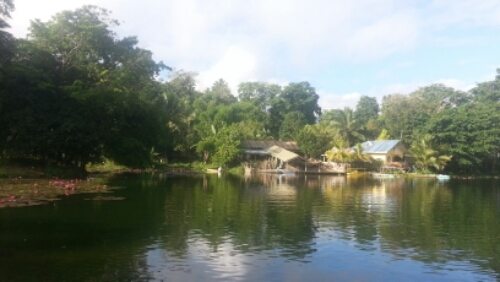 Lake Sebu is more than the lake, tilapia, and the waterfalls. 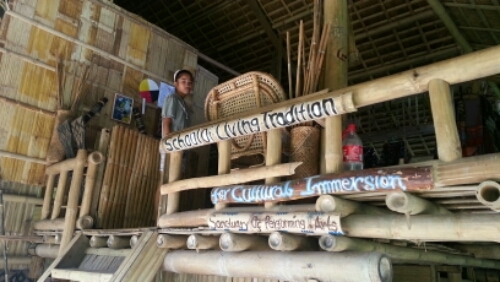 Lake Sebu is the cultural heartland of the T’boli people. 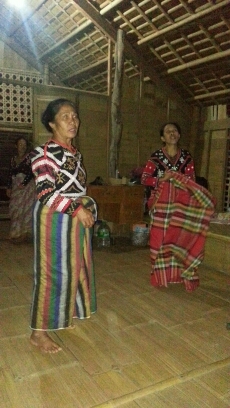 They with their colorful clothes and beautiful music. 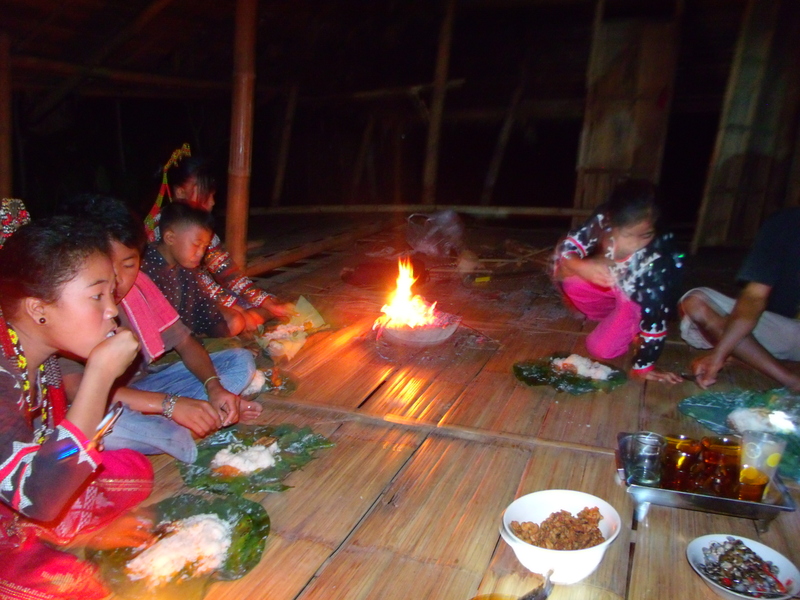 The best way to experience this is through a homestay with a T’boli family. I came across Maria Todi on the internet and has since become friends with her. She has helped me a lot in my research, introducing me to talented musicians and weavers, and more importantly giving me an opportunity to be part of her extended family. 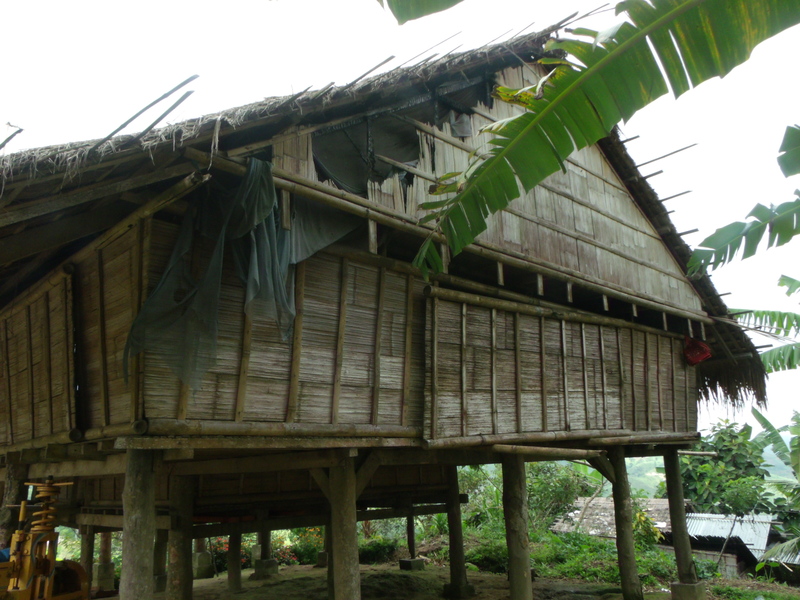 The homestay consists of a cluster of bamboo buildings. The dining area is fitted with a balcony. I’ve spent many hours here going through my research notes. 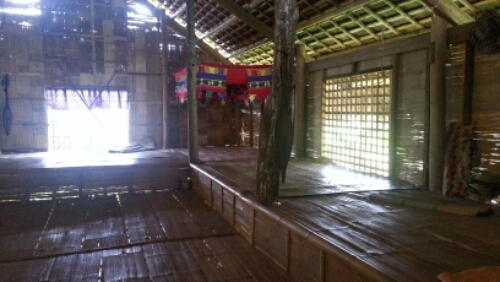 The traditional T’boli house is large and spacious and can sleep several people. 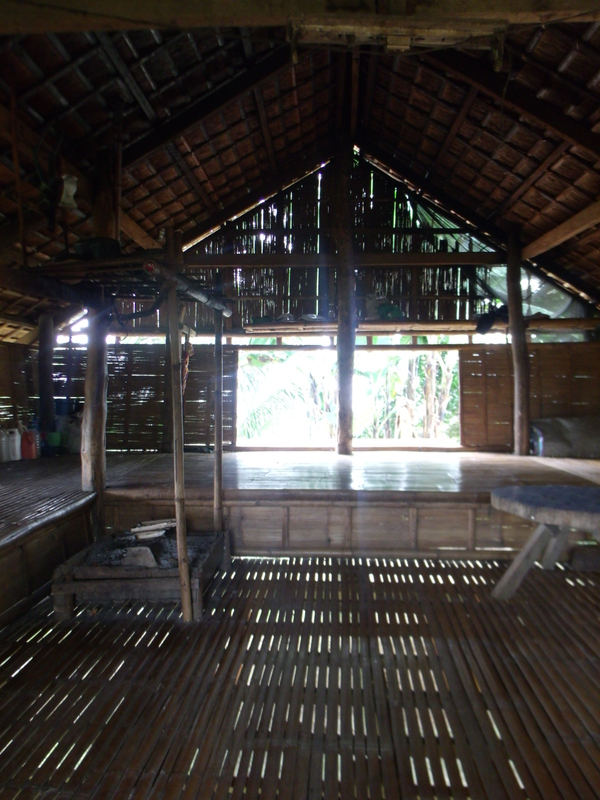 T’boli houses have no inner partitions as everything is communal. It’s a fantastic way to interact with the family and other fellow guests. More sleeping areas are being built. This is beneath the house and will have individual rooms for those who want more privacy. 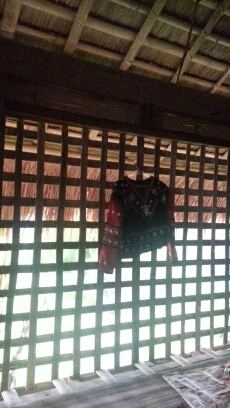 The large patio has souvenirs such as necklaces, traditional blouses and vests, and handwoven cloth for sale. They’re priced much lower here than in souvenir shops. The toilet and bathing area is downstairs a few steps away from the house. Don’t worry, there’s a bucket-flush toilet so no need to squat. Hehehe. Expect to bathe the traditional way with a dipper and a bucket. 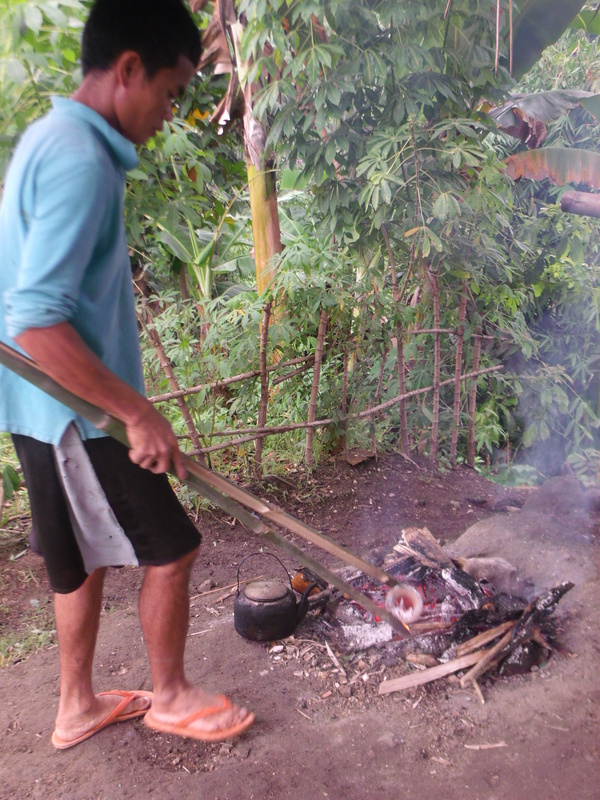 You can choose to have your meals here and taste traditional T’boli cooking which uses fresh ingredients and uses no-frills cooking techniques but is very tasty. At Martha’s last night of stay, we had a communal dinner. 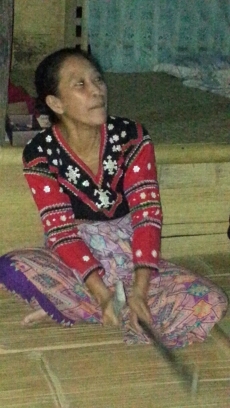 Maria, who also goes by her T’boli name “Oyog,” is a respected artist and cultural worker. 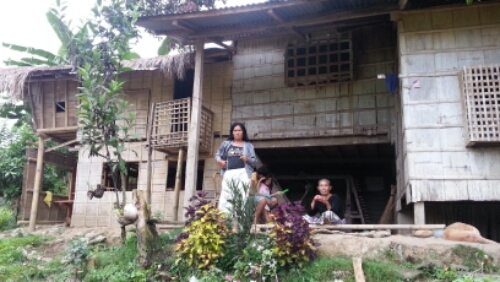 Her homestay is attached to the School of Living Traditions which she set-up to teach T’boli youth their dances, music, and crafts. 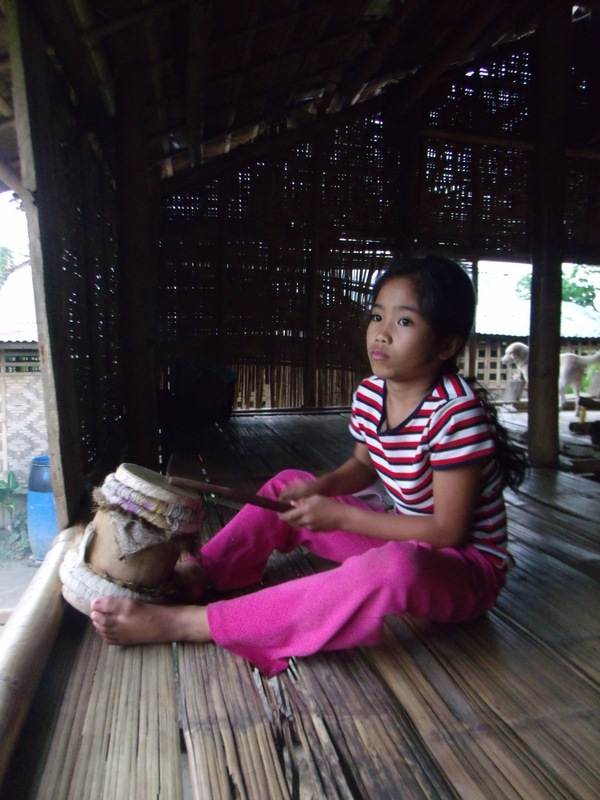 At any given time, children are practicing at their musical instruments. 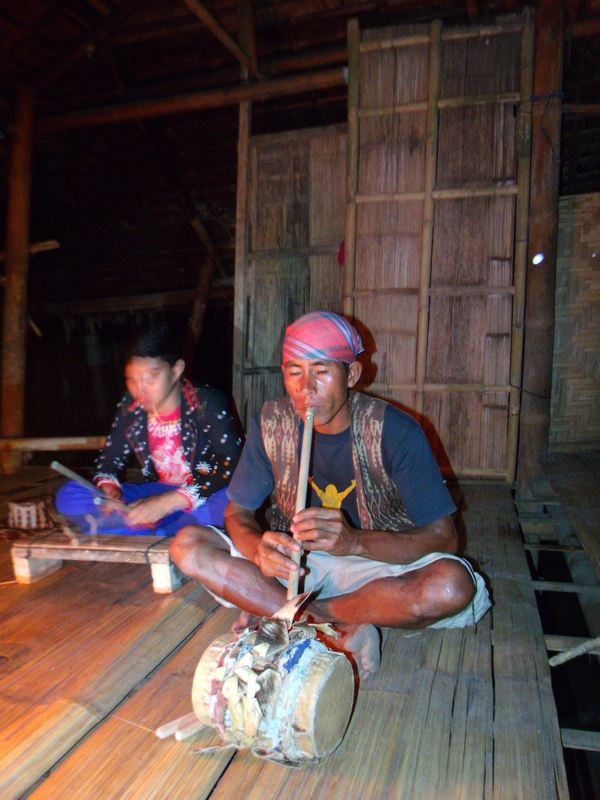 If D’wata smiles on you, perhaps there’s an ethnomusicologist in town (hint: me) who has invited a musician for documentation and you get to watch and listen. 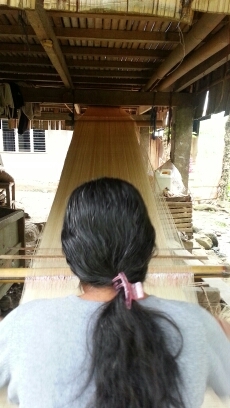 She also hosts Barbara Ofong, a weaver. 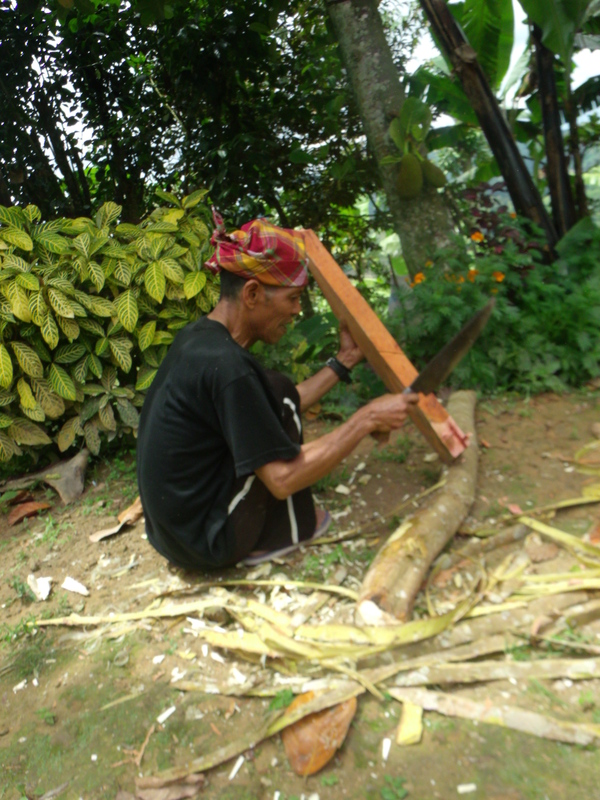 You can see her tieing her “t’nalak” designs and weaving. If you stay long enough and are lucky, you will be treated to a performance of music and dance courtesy of Maria’s family and artist friends. Here’s Martha, a Taiwanese guest, who was here for a week at the same time I was here. You can also play games with the children. They will also gladly engage you in conversation. 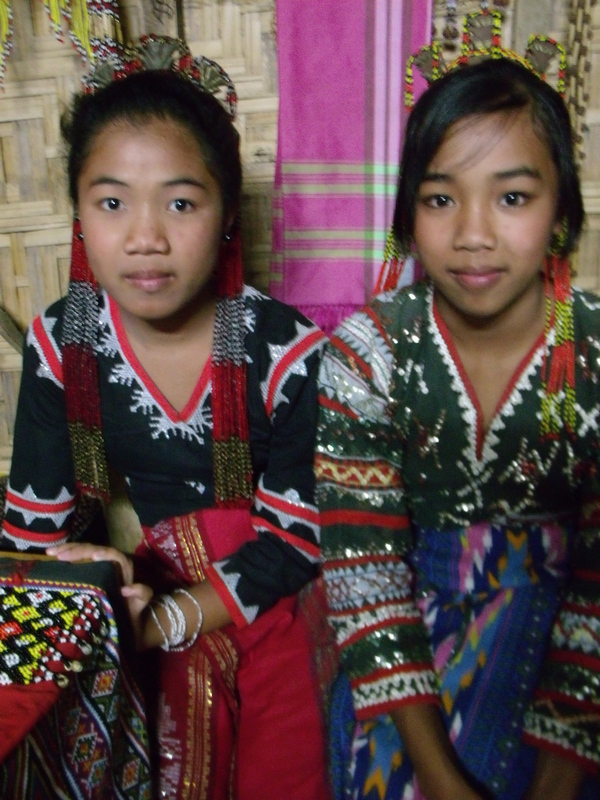 Learn to say “heyu lafus” (good morning) or “t’bong s’ lmat” (thank you very much) from them. Of course, I’m biased and this is probably more of a promotion rather than a review but that’s because I really enjoy staying here whenever I’m in Lake Sebu. I also believe in supporting initiatives like this especially if these are by the T’boli themselves. 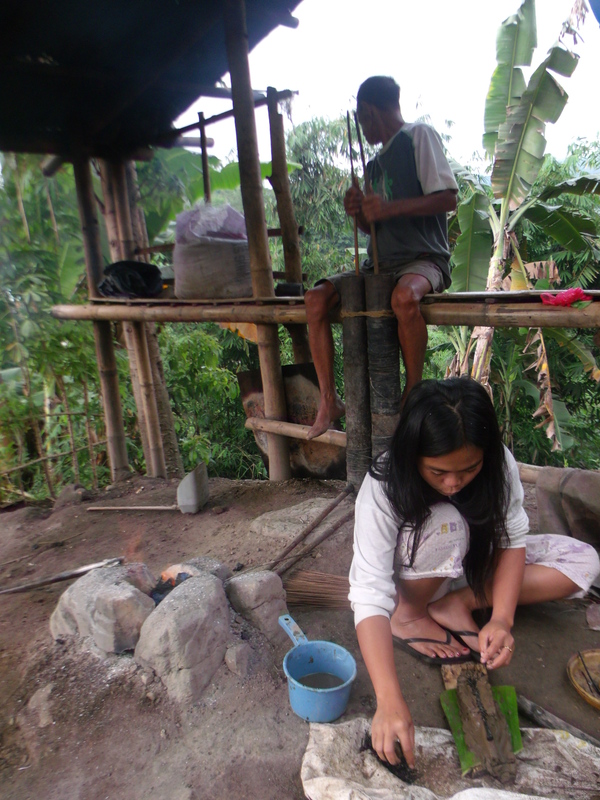 Staying with Maria not only gives you a glimpse of T’boli culture but you also help support the School of Living Traditions, a vital link to the promotion and conservation of T’boli culture. Maria Todi’s homestay is at Bgy. 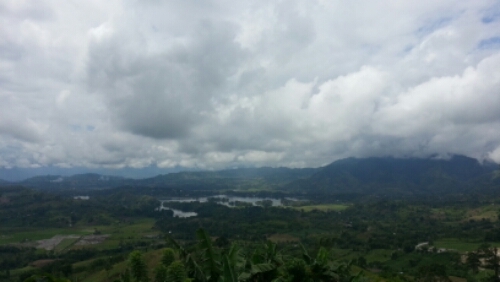 Poblacion, Lake Sebu. 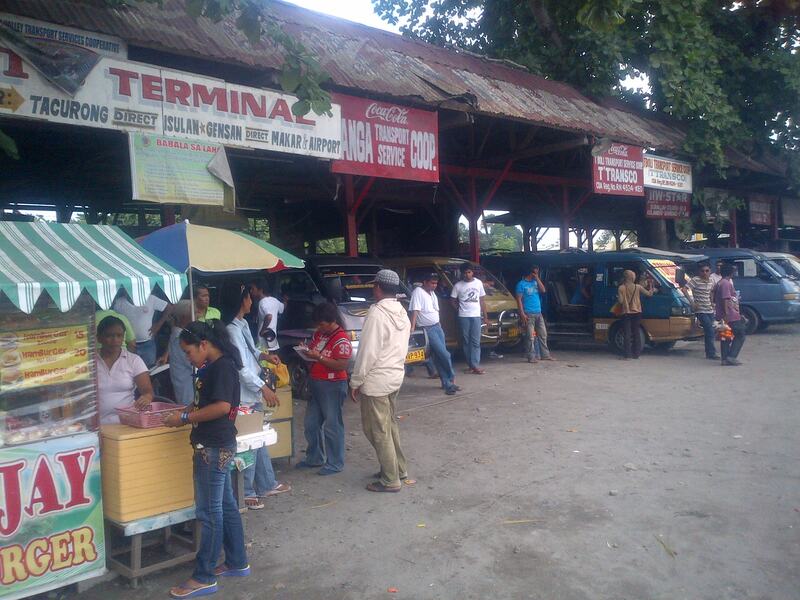 If you are on the public van from Koronadal/Marbel or Surallah, just ask to get off at SIKAT (the T’boli school). 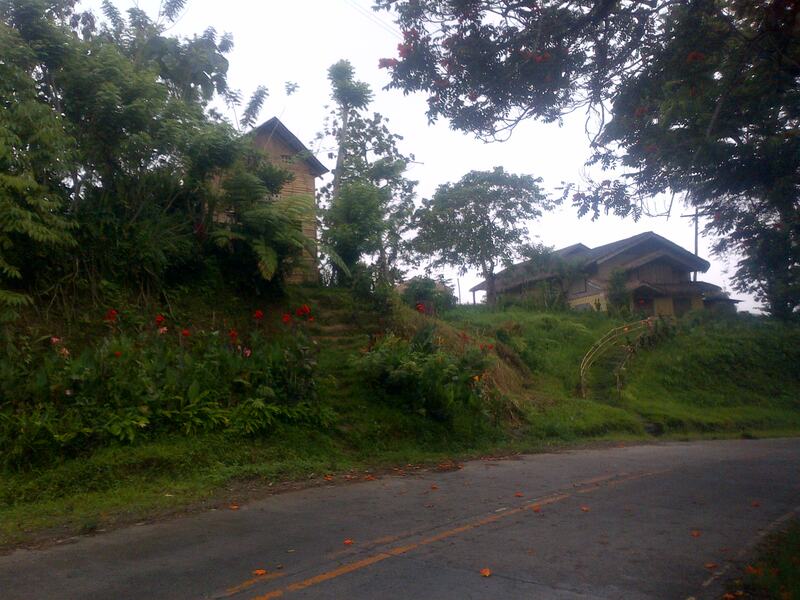 The homestay is right beside it on the left side of the road. You can simply drop by or call in advance at +639066345367 / +639129764041. 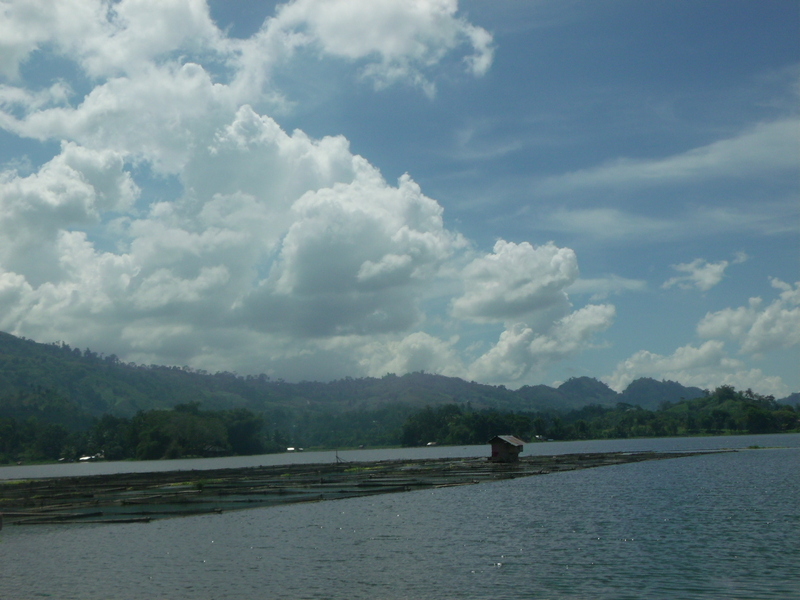 Most travellers stay no more than a few days in Lake Sebu. Some even just opt for a day tour. This is my third trip here and have been staying for more than a week and I have yet tire of it. Admittedly, being here researching as an ethnomusicologist rather than sightseeing as a tourist has distinct differences. For one, I’m here for the people and the culture rather than the place and that can keep me occupied. Still there are others like Martha, a solo Taiwanese traveler, staying with Oyog at her homestay and who after being here for a week and leaving this morning still had not had enough. 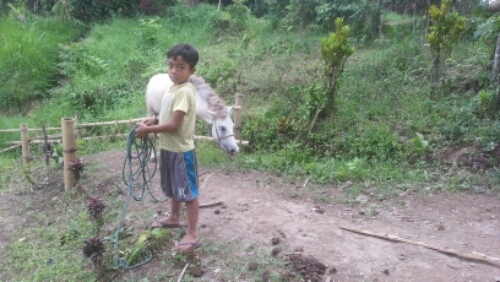 Perhaps, for both of us, Lake Sebu has come to be more than a place. 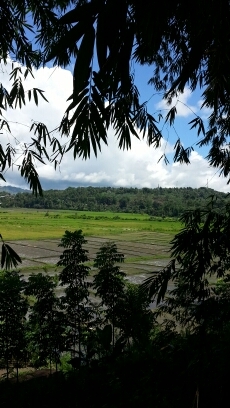 It is verdant ricefields in far-flung baranggays. 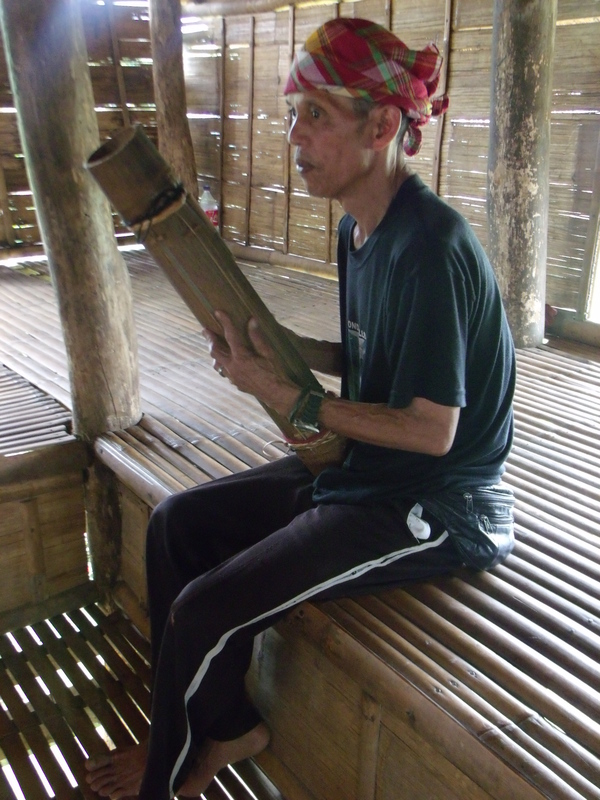 It is muddy trails that bring you to T’boli settlements which are home to master musicians. 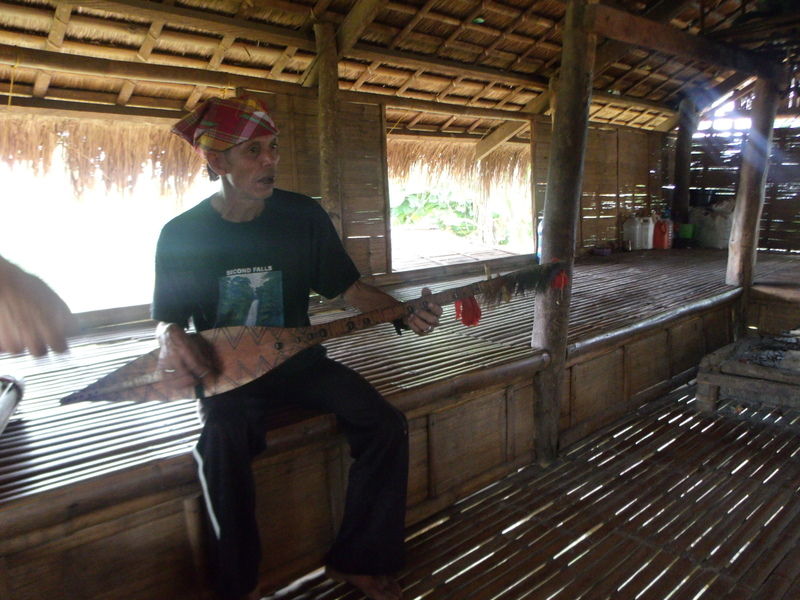 It is the sound of T’boli musicians proudly showing their music to anyone who would make the effort to locate and genuinely appreciate them. It is the sound of children laughing . 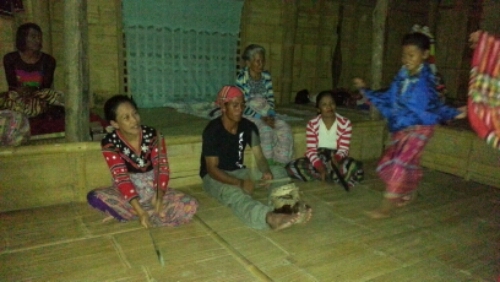 . .
and playing music they have heard from their elders. Of dances performed for you because you are their friend. 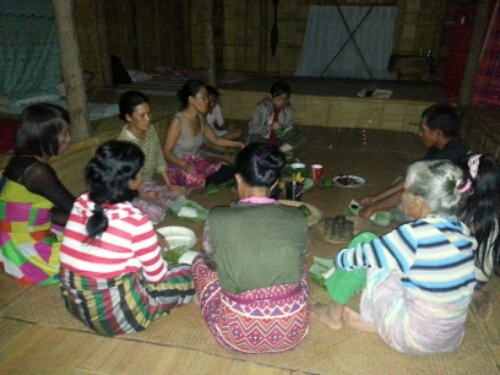 Lake Sebu is a traditional T’boli meal prepared and communally eaten with friends in someone’s home. It is as pleasant to the palate as it is to the eyes as you gaze at the calm waters of the lake. 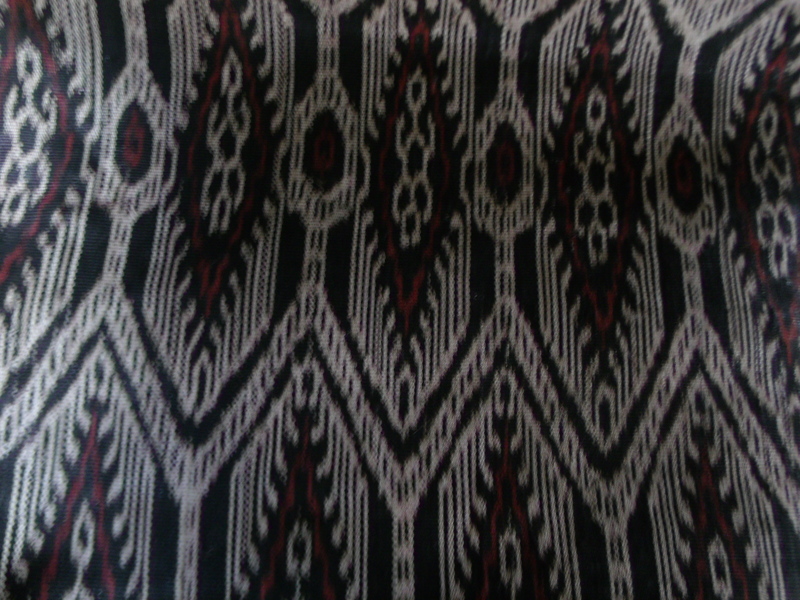 Or at the beautiful clothes of the T’boli women. as it is the rhythm of the boat rowers. And the rhythm of the weavers. 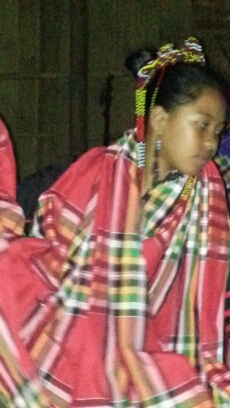 Most of all, Lake Sebu is the wonderful T’boli I have met. If I stay here much longer I might just make it my second home. Electricity finally returned to Lake Sebu at around 3 this afternoon, almost 24 hrs since strong winds and rain toppled a few trees by the highway causing the electricity yo be cut. Weather-wise, I didn’t mind as it was really cold in the evenings. It also meant a break from all that videoke. What caused a major panic though was not being able to charge my gadgets used for documentation. This was a more major concern than the lack of water due to the electric pump being unable to work. Fortunately, being a Sunday, I decided to just stay put and give both Joel and me a break. It was such a relief when Oyog announced that electricity was back. This got me thinking how technology has changed fieldwork. More than a decade ago, I used to go to communities with packs of batteries to power-up my camera and recording devices. If those ran-out, I did on the spot transcriptions of music and interviews. Now, my pack is lighter as I just need 2 sets of re-chargeable batteries and a power pack. All is good until a long brownout, in this case, almost 24 hours, occurs and my power pack only supplies up to 4000mah. (Note to self: I should have bought the 6000mah power pack instead. Boink!). Suddenly, I feel helpless. Beyond the need to keep gadgets powered-up, technology has allowed other quirky practices such as Facebook status posts and even posting pictures and videos of fieldwork data. I even get to write a blog! Cataloguing has changed too. Photos no longer need to ba labelled with film roll numbers. Music and videos are simply labeled with numbers with no need for tape numbers. Really simple now and much cheaper now. Not yo mention lighter for the backpack. 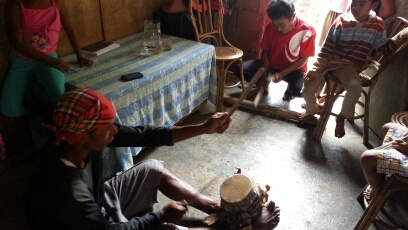 My current fieldwork is as much an eye-opener on T’boli culture for me as much as it is an eye-opener on my work as an ethnomusicologist as it is for me. 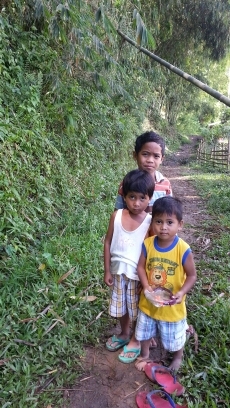 I still have not adjusted to the slow pace of life here in Lake Sebu since arriving last Tuesday. 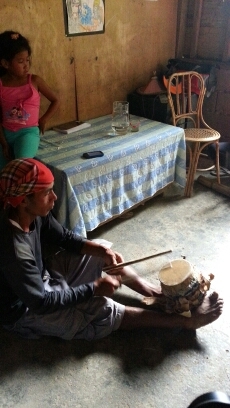 Time moves so slow when you just have the entire day to head to small baranggay to seek out musicians or music instruments makers. The slowness of time though cannot hide the quick pace in which modernization is coming. On arriving, the first thing that greeted me as I alighted from the van I took in Koronadal were the new bamboo structures lining both sides of the road near SIKAT. 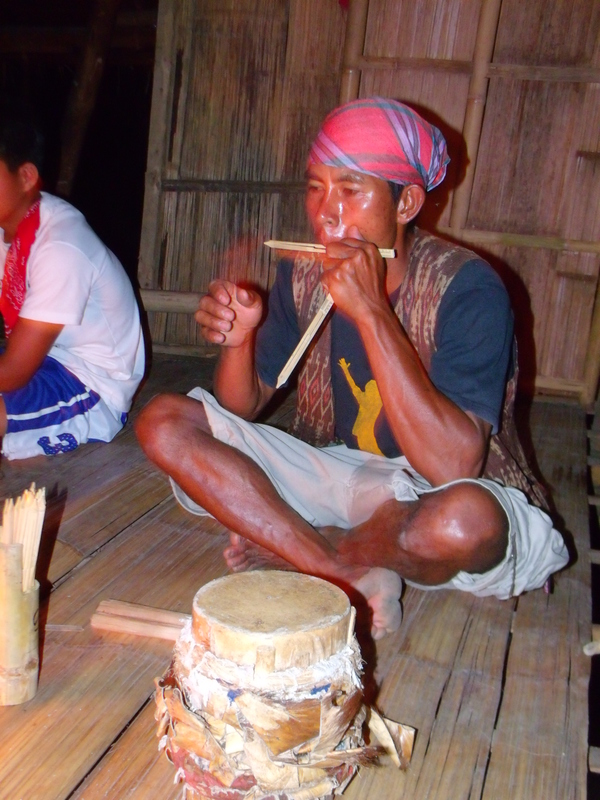 Oyog, my T’boli informant, and whose house is near a row of thatch houses of a restaurant being built, tells me there is now a sealed road to Tasiman where Ma Fil, the hegalong player lives. 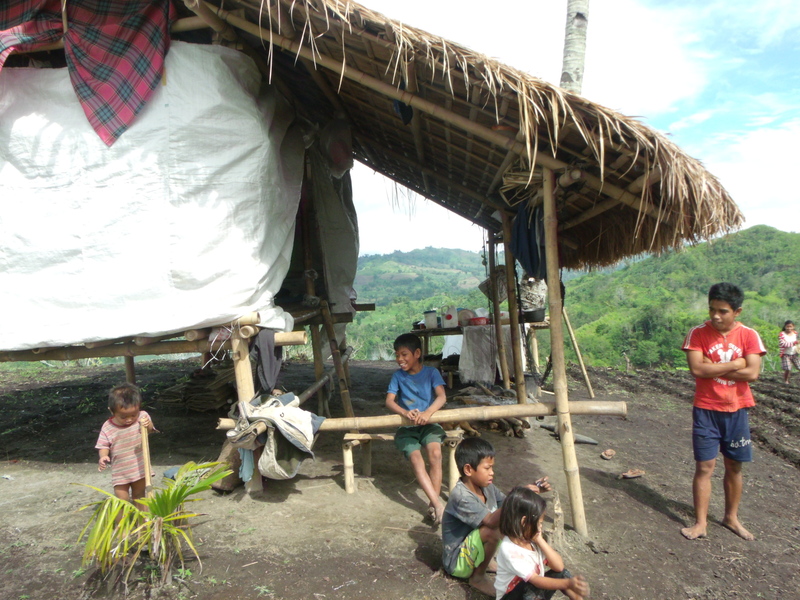 Already, I am afraid of the costs of the Bisayanization of Lake Sebu. 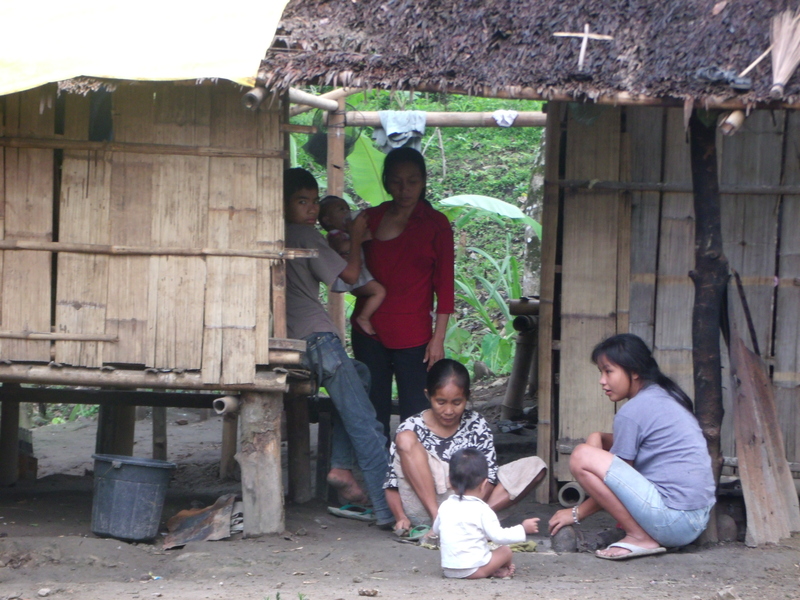 I am all for sealed roads and new structures only if they bring development to the T’boli first and foremost and not an increase in lowland excursions. 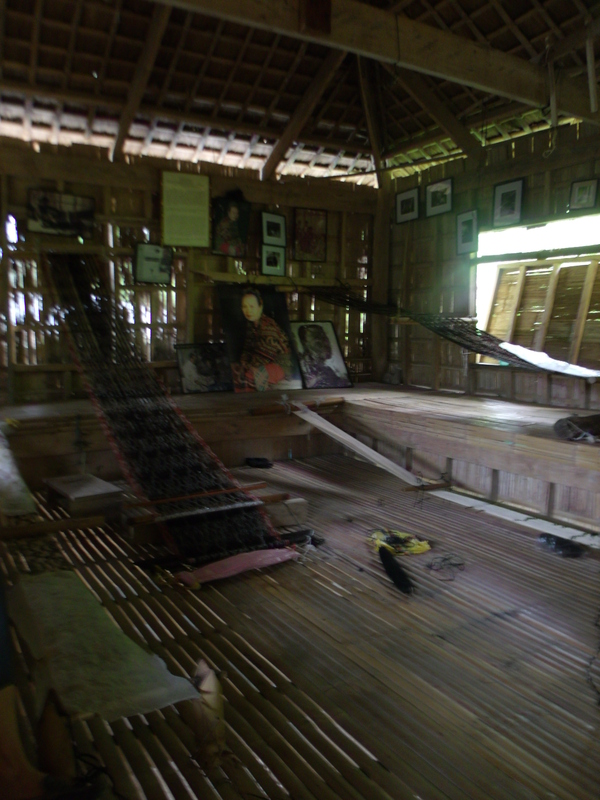 In the meantime, I have been getting all the data I need to finally write my master’s thesis on the t’nonggong. So far so good. I’ve met and spoken with different instrument makers and musicians including those related or have known the “legends” like Bendaly and Ganlal. 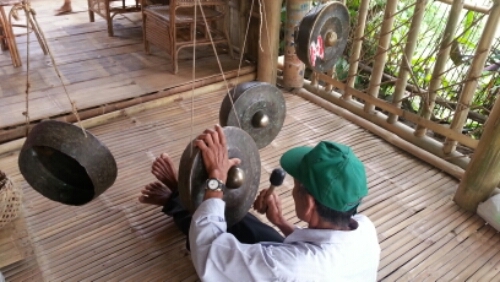 I would not have known them if it weren’t for my excellent guide and informant, Umag, who himself is acknowledged as the best t’nonggong player and is also the son of Genlal. There was nothing more to do in the morning except to pack my stuff hoping everything would fit. I have become an expert in packing musical instruments from all my trips abroad. It’s easy if you’re packing stuff and heading straight to the airport. Getting on land transportation is a little more tricky as it means less space and more carelessness in handling and stowing luggage. Double all that when you need to get on a beat-up mini-van with about a dozen more people than it normally carries. I had brought my Lowe Alpine 75+15 backpack which is quite huge but stashing my klutang there was out of the question. In came the two sludoy wrapped in my used shirts. I had already marked and removed the frets so there would be less chances of the fragile strings snapping should it something heavy be placed on top of my pack. 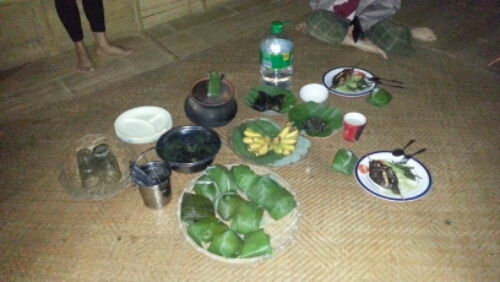 The kumbing and sloli were wrapped in the tubao and placed between the sludoy. I had brought my overnight bag as back-up bag in case the pack becomes too heavy and I go beyond the 15kg limit. 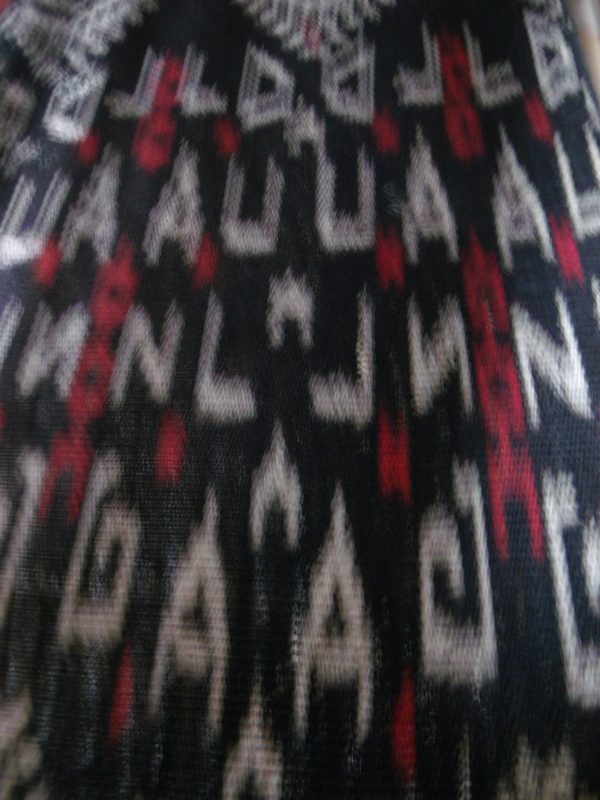 The klutang was wrapped in used straw sacks. Mel had assured me when I called her that it wouldn’t be illegal to be transporting a small piece of wood. I had become apprehensive that the DENR might call my attention to it as it seems just like any piece of cut wood. I would have to go through the entire process of explaining that it was in fact a musical instrument and why I have it. I had an early lunch of what else… sugba na tilapia and instant pancit. When I asked for my bill, Elmer said I need not pay as they owners who dropped by yesterday and who I chatted with had told them to feed me as I were their first guest. The couple who owned the Green Box, a doctor-wife and an engineer-husband who are based in Insulan, Sultan Kudarat, were really nice and gracious. If only for that, I’d give a 5-star rating to Green Box and would stay again and even recommend it to others. Sometimes you can forgive not-so-good facilities for really wonderful hosts. The van to Surallah passed by past 12 noon already and fortunately there was still an available seat and the luggage space behind the last row of seats wasn’t full. I was really lucky to have taken that seat as I was to discover on later in the trip as passengers hopped on and off, they really did fill it beyond its capacity as even the space where the engine was is used for seats! When the entire van was full, the conductor road outside hanging dangerously at the back. Surallah was a mere thirty minutes away and we finally let out at the bus station. A Marbel-bound bus was pulling out just as I arrived at the bus bay so I got on an empty bus that filled in about 15 minutes. 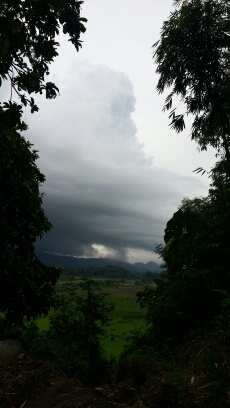 There was no air-con but the cloudy weather made everything. As I sat by the window looking at the gorgeous countryside of rolling hills and flat plains, the conductor swang by to collect my fare. 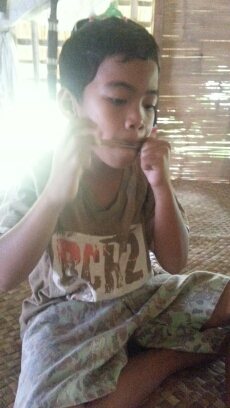 I gave him a twenty-peso bill and four one-peso coins. He looked at me puzzedly and said something in Ilonggo which I of course, could not understand. “Tagalog,” I told him. He was asking how much I had given him. “Twenty-four,” I answered. He moved on. He must have forgotten the twenty-peso bill I gave him. The middle-aged man seated beside me struck up a conversation (translated in English here). I was surprised with this. 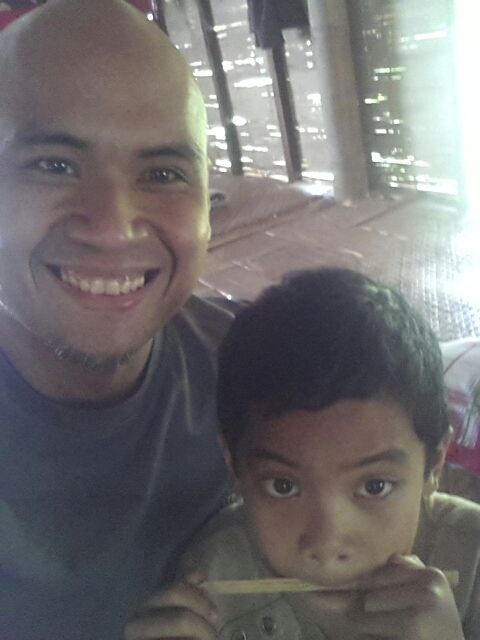 But he must have been more surprised at me traveling alone in this part of Mindanao. I didn’t feel nor see anything out of the ordinary as to invite fear during my entire course of travel here. I felt I was just like in any other provincial town. 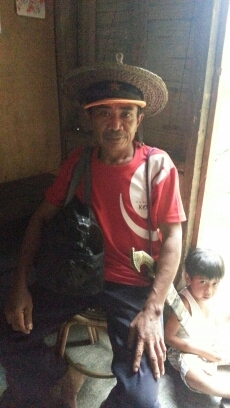 He introduced himself as pastor who was heading to Marbel with his wife for some errands. They were both very nice and we talked until we reached the Yellow Bus Line terminal. I loved how the bus connections were all so easy and quick. There was a waiting a/c bus at the bay and I took an aisle seat beside a young guy in office uniform. I had an hour to get a some shut-eye. The multi-cab chocked streets of GenSan greeted us as we pulled into the bus terminal. 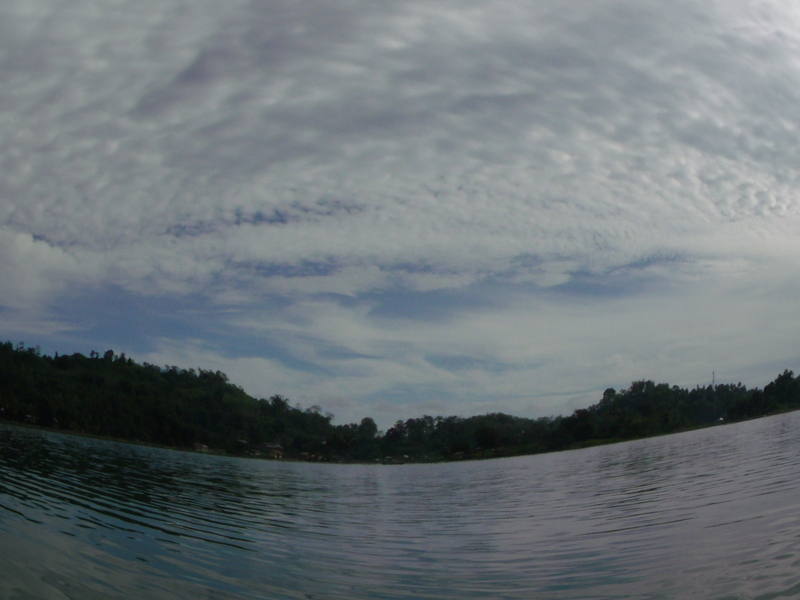 I already missed Lake Sebu. 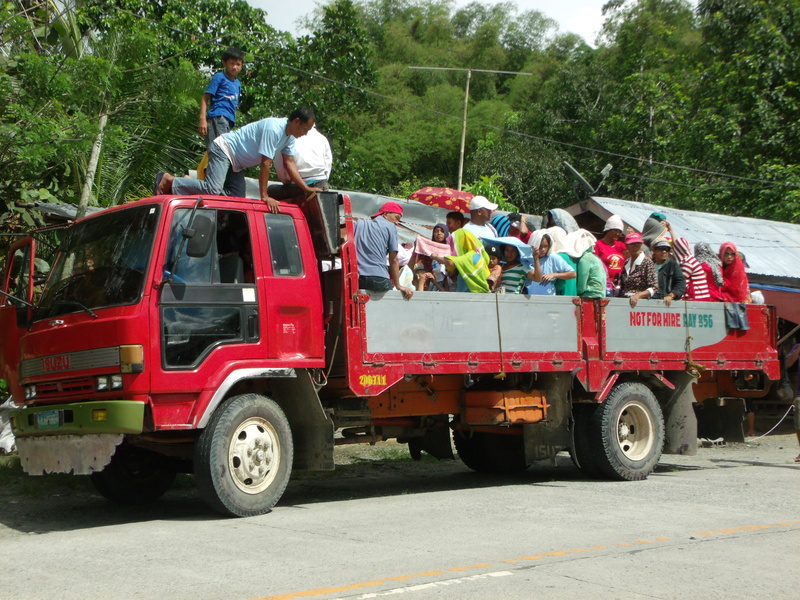 I must have had a sign on my forehead reading: “I’m new here” as porters and trike drivers swarmed around me. One particular brusque porter kept grabbing my bag and was about to carry it off to the trike I had negotiated Php 70 to bring me to the hotel in the city proper. I let out at loud yell and he took off. I had truly come back to realty. Oyog begged off in the morning as it was Sunday and she was going to church. I had made arrangements with our moto driver to go boating in the lake and hike all the way up the hill in the biggest island. Around 8 in the morning, he came promptly down from the hill where Oyog lived bringing with him the klutang that Ma Fil had delivered. The wood hadn’t fully dried yet so I left it underneath the sun. 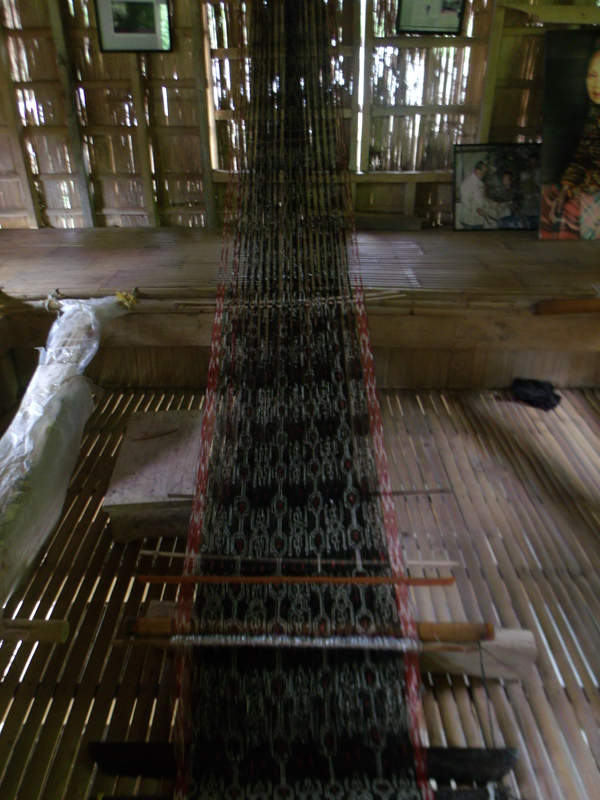 The nylon cord had also been replaced with abaca. 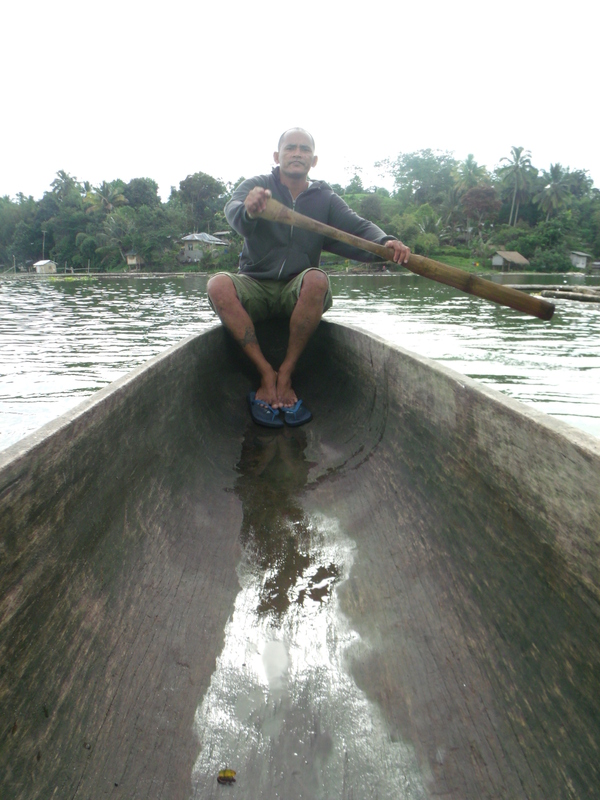 We hired a large traditional dug-out canoe for Php 200 with the moto driver rowing. Come to think of it, I never even knew his name. 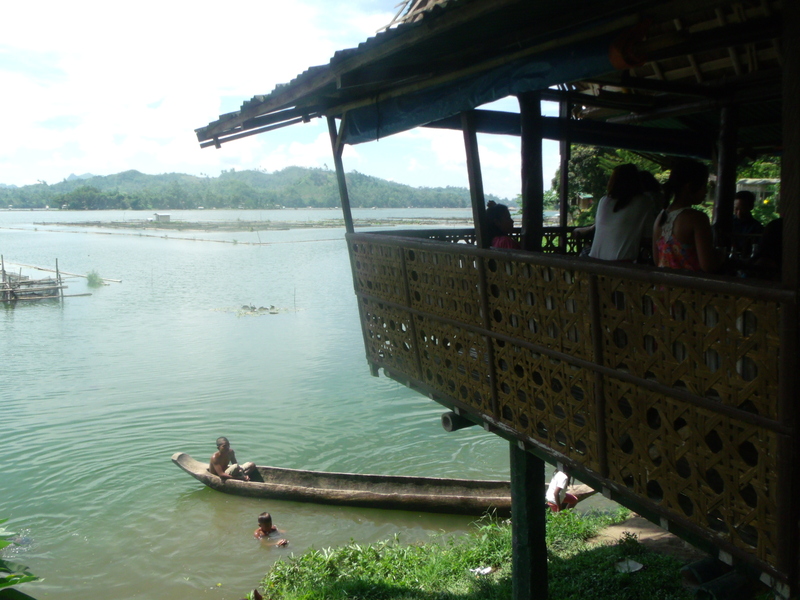 Punta Isla had motorized outrigger boats that take tourists around the lake. It had a cover to keep the sun out and life jackets. My canoe was powered by the strong arms of the driver who paddled slowly across the tranquil lake as I sat on a really low wooden bench. There was no cover but I welcomed the sun’s warmth. I would take the canoe anytime. Not only is it more environmentally friendly but it really is the traditional way to go around the lake. I had asked for a large canoe as seeing the smaller ones made me doubt my ability to balance in such narrow boats. 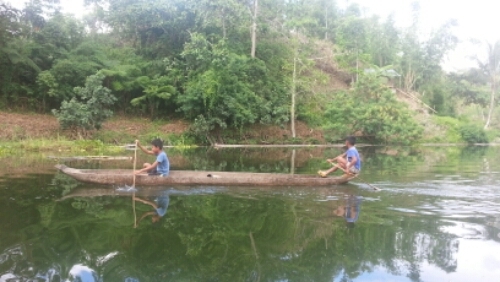 I marvel at the T’boli’s skill in being able to sit precariously on the edge of the small boats as they cast their nets on the water. Our canoe skimmed the water and we went quietly past water lilies and fish pens to the middle of the lake. If it were not for that radio or videoke blasting from one of the resorts, it would have been oh so still. A few were already up and casting nets on the lake while others had water jugs with them presumably to fetch water somewhere. Out in the center of the lake, life seemed so far remove from that of the mainland. I was surpised how large the lake truly was. It did smell very fish though maybe because of all those fish pens. Such a pity. 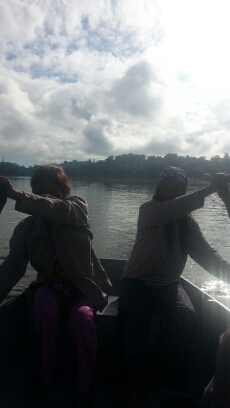 According to my moto driver/boatman, a canoe that size costs around Php 3,500 (cheap!) and could fit up to eight people. I said I wanted to watch the boat builders and have one made. For that, he said, I would have to go to the mountains where the T’bolis who live there make them. We reached the shore of Isla Tebowol and disembarked. My little day pack partially fell into the water as I had failed to wear one of the shoulder straps. Fortunately, my stuff inside didn’t get wet. Someone was preaching in a small shack where about a couple of dozens of locals listened. The trail was muddy and quite steep especially near the top. Fortunately, steps had been carved out of the hill in the last few steep portions. I was a little sweaty as we made it to the row of corns planted on top. 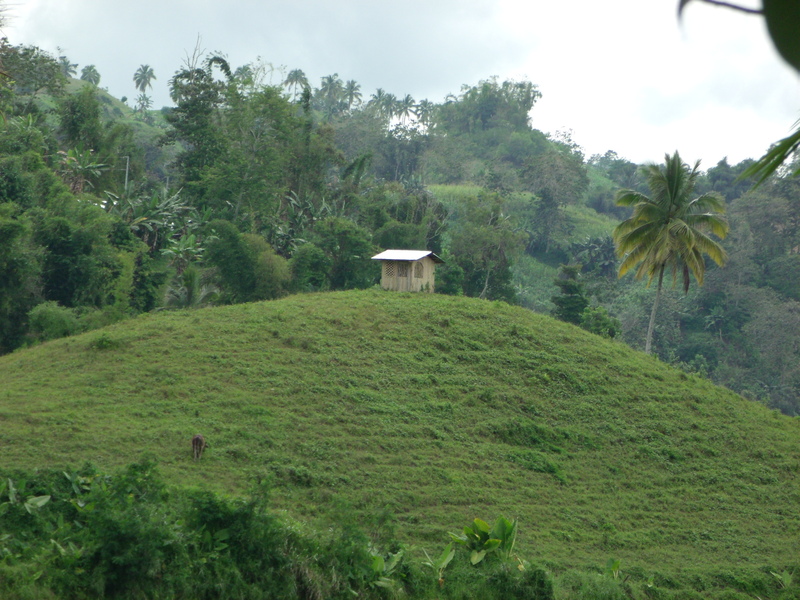 The small patch of land and the little hut was owned by the driver’s brother who was nowhere to be found. 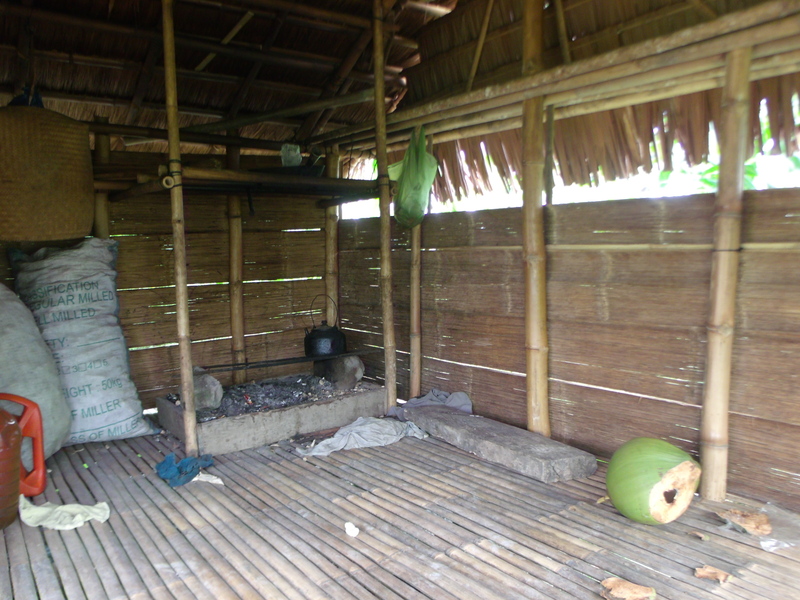 The hut stood quietly empty as the corn leaves fluttered in the morning breeze. 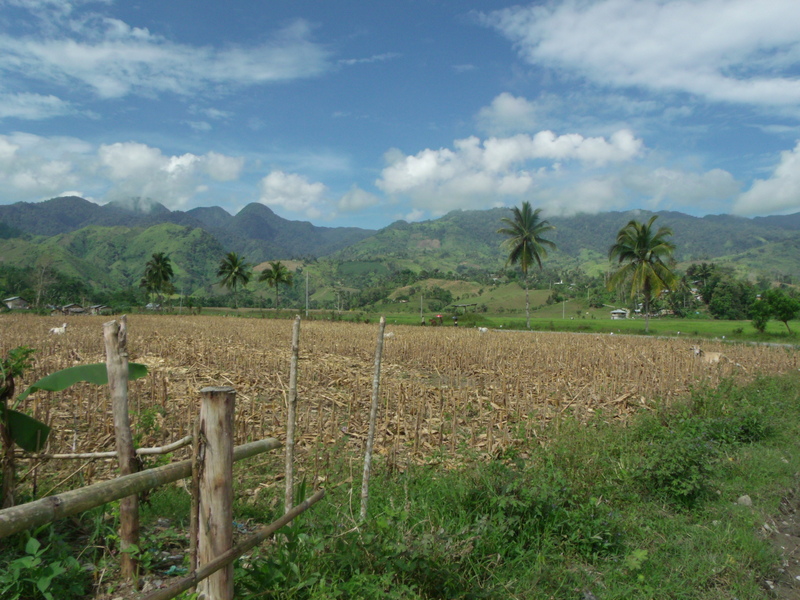 Past the rows of corn, we exited to a patch of newly-tilled land. This was the hill that we could see from the mainland. 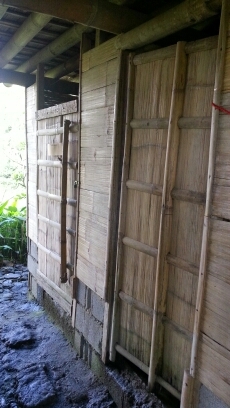 On top, referred to by the T’boli as telutot, was a small shack with sacks as walls. 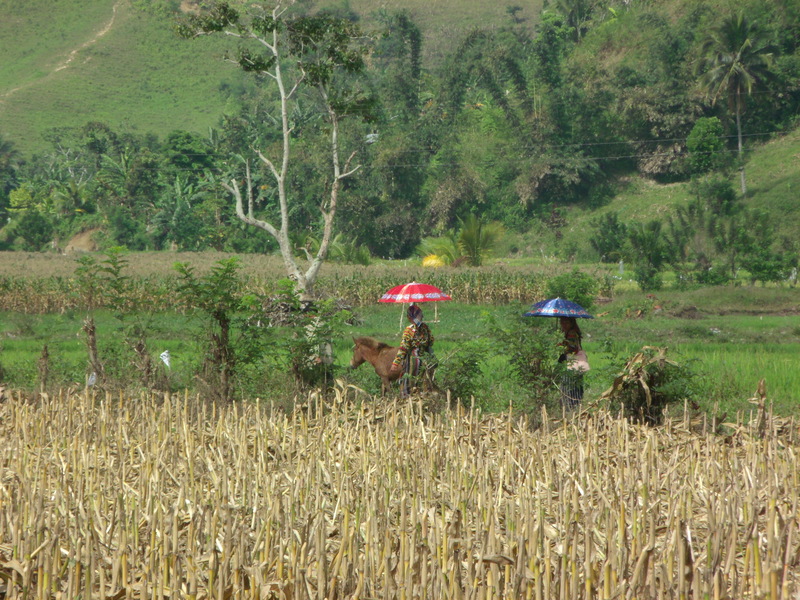 A couple were tilling the land while children played. They were also related to my driver. The view was amazing from where I stood. The lake shone below while the famous “three fingers” contour formed by land that jutted out from the mainland. 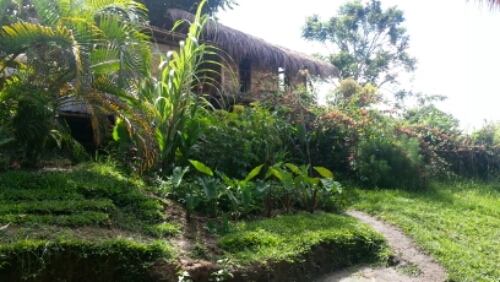 It was really very beautiful and it was not surprising that other visitors who had come had expressed a desire to stay and perhaps spend the night on the hill. But amidst the natural beauty was the depressing poverty of the family that lived there. 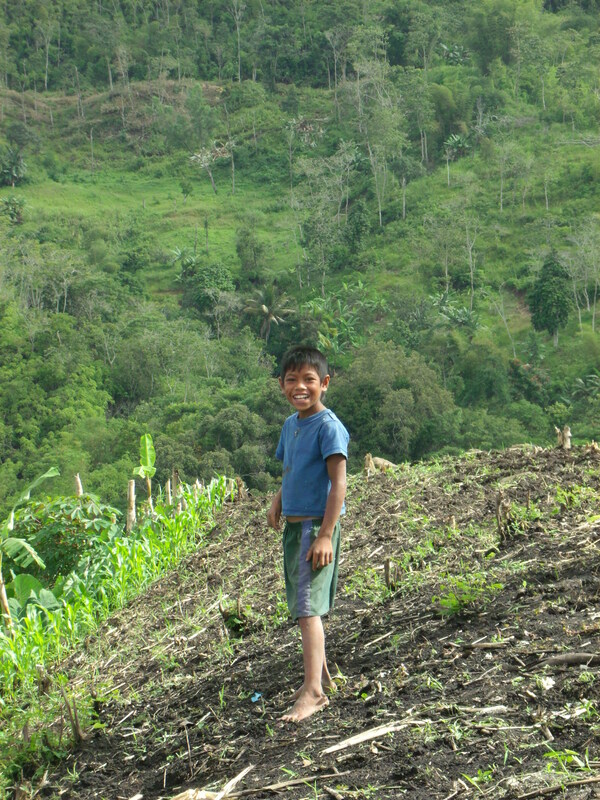 Their only means of livelihood was to plant corn on the small patch of land where they lived. 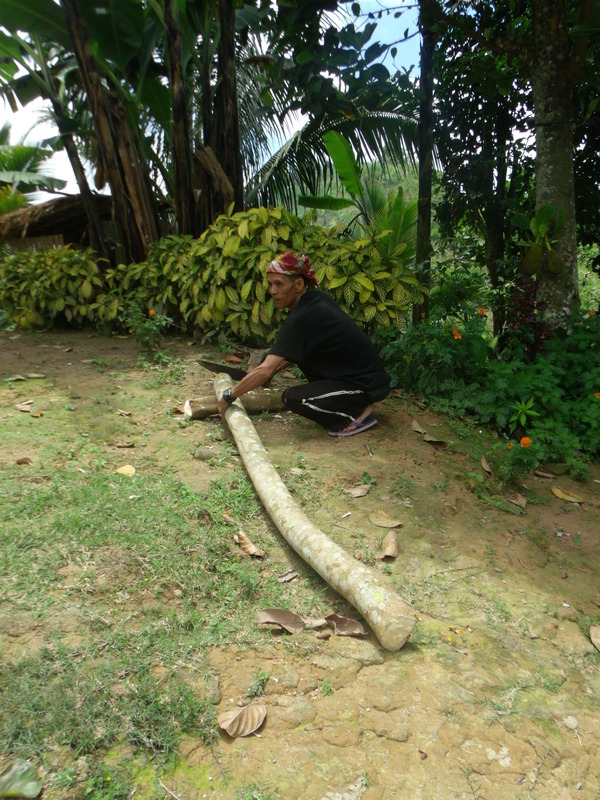 The harvest would be sold for about Php 30/kilo in Surallah. Their last harvest only yielded 15 sacks. The rest of the hilly field were planted with root crops for their own consumption. Of the five kids, four went to school as one of them had been born with a non-functioning right arm that hand limply from his body. To confound the problem was the young boy’s inability to speak. It was so sad because he had a really cheerful disposition and smiled and posed gamely when I motioned to him that I wanted to take his photograph. The eldest boy was an incoming third year high-school student but he was too short for his age. 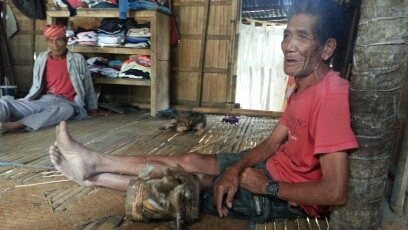 He had gone through a lot to put himself to school, having worked in his school canteen in GenSan. Asked where they get their drinking water, he pointed to an opposite island. They take a steep path down the hill, cross by boat, and get water from a spring storing them in plastic gallons and return the same way. Their living conditions were really deplorable. But amidst all these, they welcomed me with warm smiles and even apologized for their condition as they were embarrassed with their shack. I told them I would buy the kids school supplies and they could go pick them up at my driver’s place. It was the least I could do for them. My driver found me a long bamboo pole to use as a trekking pole as I didn’t wanna risk slipping on the steep trail on my way down. As I made my way across the lake back to the mainland, I couldn’t help but think of the kids and their hard life. I wished kids who had more in life would realize that there were other kids who were not so lucky. Back at the mainland, we went to a general supplies store in Poblacion to get some notebooks, pad papers, pencils, and crayons for the kids. While my driver brought them back to his home for safekeeping, I went to withdraw at the atm at the local bank beside KDatu Souvenirs. Wonder of wonders, the atm worked! One of the most magical moments in traveling is when you’re in an area where you least expect an atm and you find one and it actually dispenses money! This was one of those moments. 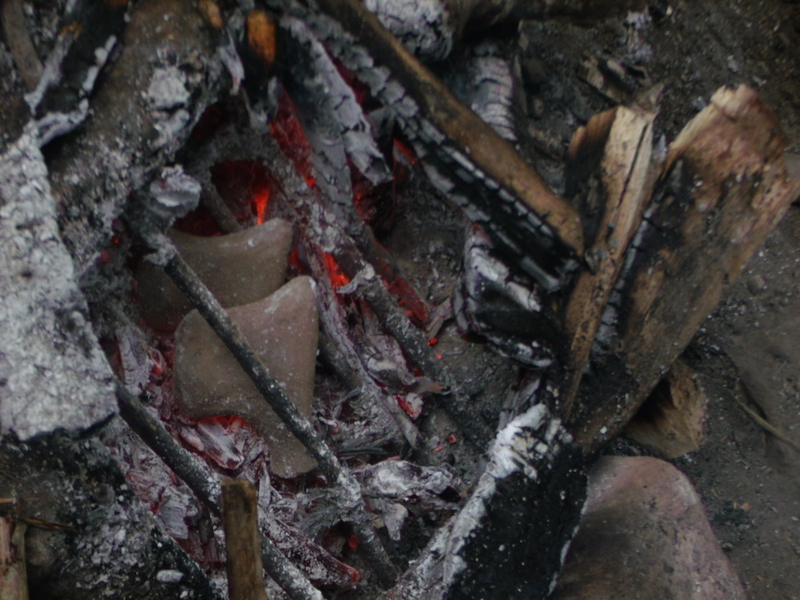 I’ve had similar ones in Sagada and in Sapa. My driver had returned and we motored back to the Green Box to wait for Oyog who still had not returned from church. Maybe the sermon was long, I told my driver. To kill time, I headed to the Kehulingan Craft Foundation a few meters down the road beside a restaurant that apparently was affiliated to the store. 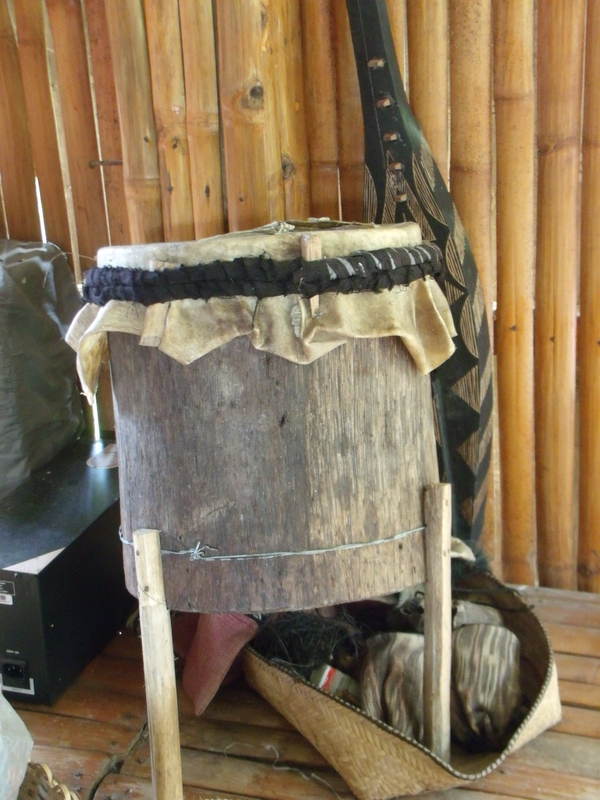 The spacious store had beautiful T’boli wear for sale and other crafts such as baskets and a few musical instruments including a drum with a torn skin. I could have easily spotted any of the small items such as the beads because no one was there. Fortunately for them, I wasn’t that kind of person. 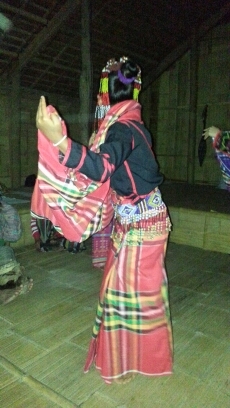 I took photographs instead of the pages of a small book on T’boli music published by the Summer Institute of Linguistics. On the small store out on the side of the road were small t’nonggong on display but whoever was in charge was probably busy at the restaurant as there were some people lunching there. It was almost twelve so I decided to just head to one of the restaurants (if you could call it that) where I had dinner the previous night and ordered a tilapia chicharon. Oyog and the driver soon arrived so I just told the server who was already cleaning the freshly-caught tilapia to just reserve it for dinner later in the evening. Oyog had not yet lunched so we decided to just eat at the waterfalls even if it was way past lunchtime. I had some bananas and junk food at Green Box so I wasn’t really hungry. A stone-and-gravel road led up to the hills where the falls were. It was a little bumpy but we managed to hold on to the moto. The second falls could actually be glimpsed on one section of the road. We chose to go to the second waterfalls first as it will be easier to go down the 700+ cemented steps leading to the first falls rather than hiking up. Past the registration area where I got in for free courtesy of Oyog, a cemented pathways led to the first falls known by its T’boli name: Hikung Alu which means “passageway.” Is it because it led to some netherworld that only the T’boli who first glimpsed know about? To get up close and personal with the falls, I took the short trail leading to it but stopped short just before it as it was quite slippery. 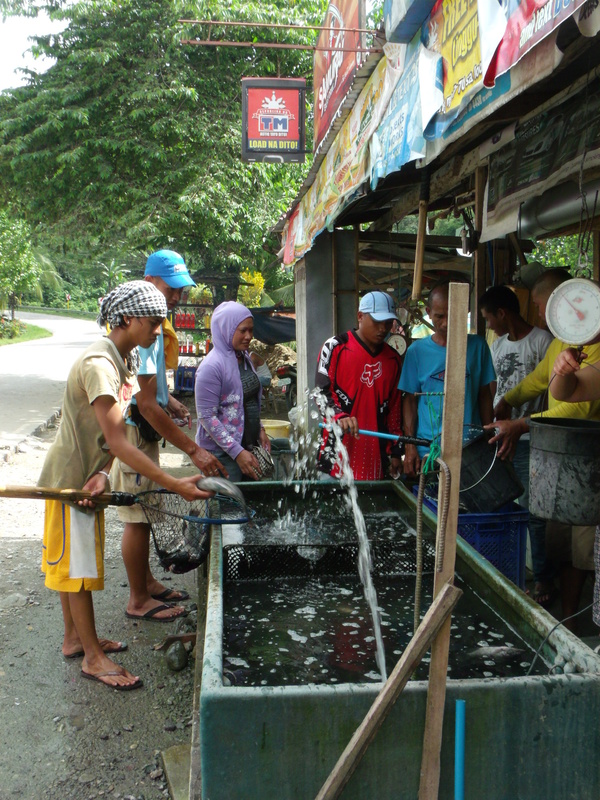 Bathing in Hikunh Alu isn’t allowed probably because of the strong current. Oyog joined me on the short walk back going down the banks to try to get some small clams to show me but there were none. “Maybe because the water is too strong,” she explained. We took the 700+ concrete steps that led to the second falls. It gently spiraled down through the forest and made for a nice albeit knee-tiring walk. We heard the falls before we saw it. It really was spectacular. It was high and cascaded in torrents down below. So powerful was the water that a perennial spray of water hang around the swimming hole where the water plunged down. It was really beautiful. I’m always mesmerized with waterfalls. The volumes of water that drop over the cliff face look so magical and it is awe-inspiring when you think of how powerful that water is. I’ve always considered waterfalls as one of the most potent symbols of the majesty of God’s creation and that of nature. It must have been even more awesome when the surroundings were in its natural state— no infrastructure, no pathways, no nothing. Just the falls and nature. 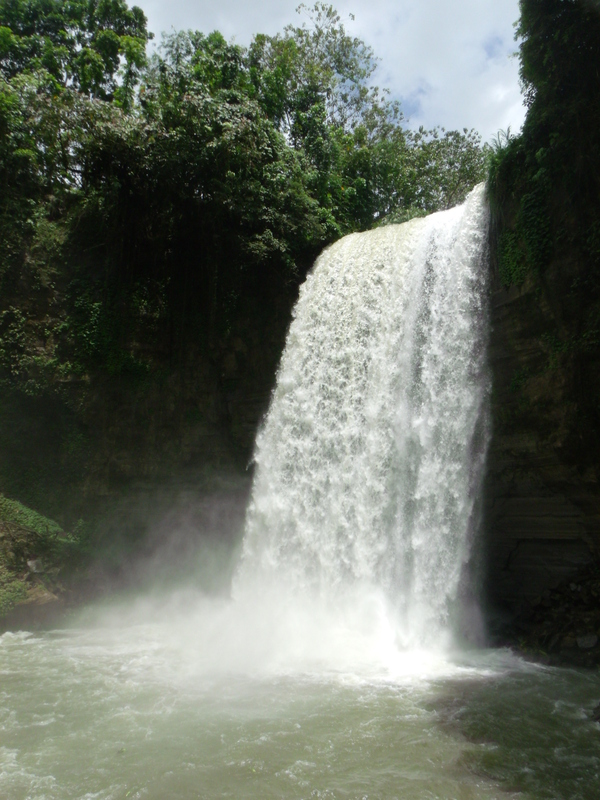 I wonder how the first T’bolis who stumbled on those falls felt the moment they laid eyes on the crashing water. 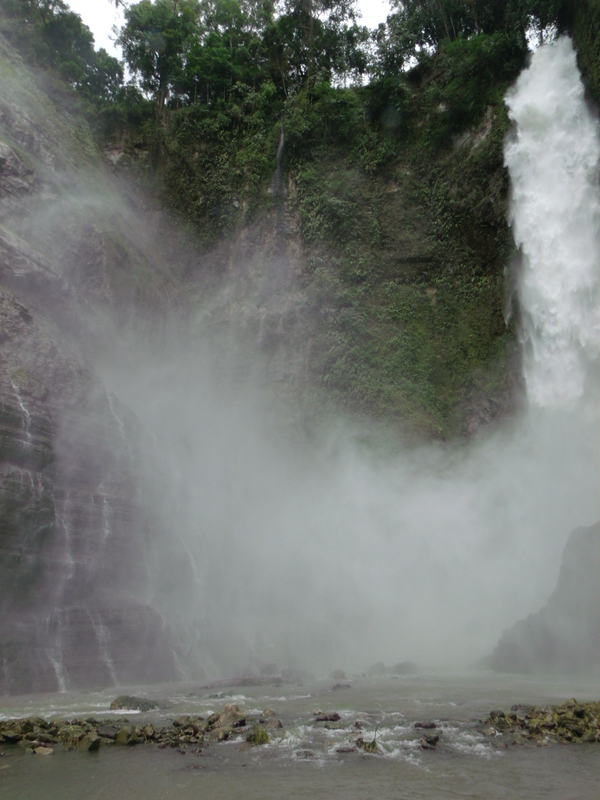 The falls were really beautiful and it’s just right that they be promoted in a big way as one of the natural attractions in Lake Sebu. I just wished they were better managed and had more upkeep. The cottages really looked old and quite dilapidated and there were some litter on the trails. 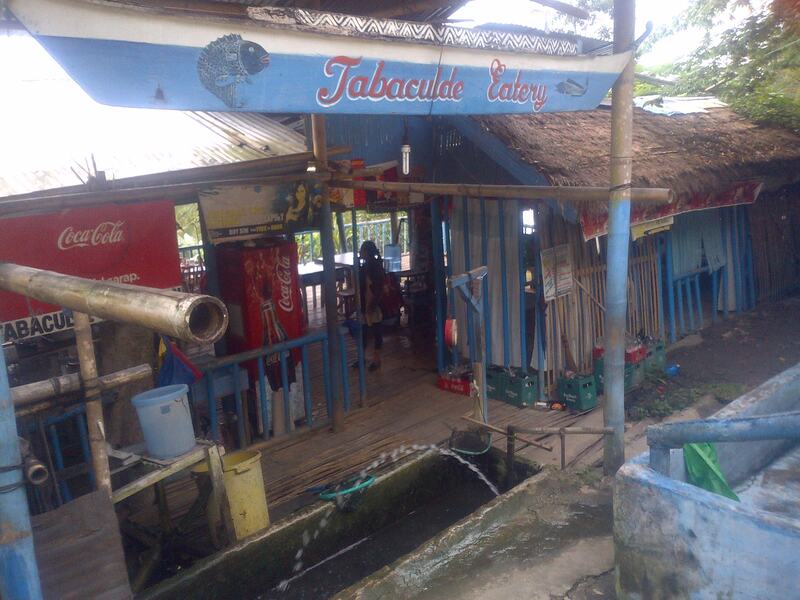 The eateries surrounding the parking lot were without food anymore as it was way past lunch time so we just headed to one of the eateries overlooking Lake Seloton for tilapia chicharon and sugba. Judging by how many vehicles stopped to buy the live tilapia swimming in wooden rectangular tanks, you’d really think that people love their tilapia in this part of the world. The eatery we were at even ran out of the fish when a truckload of people stopped and bought kilos of fish. After the narrow Airbus A320 of budget airlines and the even narrower seats and non-existent leg room, the economy class of PAL’s Airbus 330 (YES!!!!) seemed like first-class. Wide seats, lots of leg room, and 2-seat configuration on the sides. Pure bliss! It was enought to make me want to ditch budget airlines altogether. Making it even better was not having a seat-mate and because the plane was nearly half-empty, acrosss me was an entire middle row begging for occupancy! As soon as the plane had cleared take-off and the seat-belt sign had gone out, I skedaddled to the empty row, pulled-up the arm rests, inflated my pillow, and promptly lied down and fell asleep. PAL you are my pal! I woke-up about a half-way into the flight to GenSan with my snacks of packaged biscuits and peanuts on the tray table. As the plane started its initial approach, I munched them down, asked for a glass of water from the smiley and nice flight attendant, and tried to go back to sleep again. I loved this flight! Touchdown was smooth and the weather was fair. The small arrivals area was crammed as we crowded on the conveyor belt waiting for our luggage. I had brought my large Vietnam-made (you know what that means) Lowe Alpine 75+15 backpack as I knew I was gonna bring home some musical instruments. That meant having to wait for my luggage with the rest of the sweating crowd. Unfortunately, mine was one of the last to come out. As soon as I exited, I was swarmed with touts offering transpo to the city center. The moto driver with a Php 150 ride to the Yellow Bus Line terminal edged out the cab driver who was offering Php 350. Getting on a waiting multi-cab was a lot cheaper at just Php 50 but that meant waiting for it to fill-up with passengers. Anyway, I kinda missed hopping on the back of a moto. The driver was engaging enough and pointed out certain places of interests such as Pacquiao’s house (big but looked quite ordinary) and the fish port. At the Yellow Bus Terminal, a Marbel-bound a/c bus was ready to depart in a couple of minutes. My backpack went in the luggage compartment and I boarded the clean and comfortable bus and snagged a nice window seat (again!) in the middle of the bus. It soon filled-up and we left at around 10:30am. Marbel or Koronadal as it is officially known is just an hour away. I woke-up from my nap just as the bus pulled-in at the Marbel bus station. Yellow Bus Line or YBL as the local refer it seems to be the major bus company here. 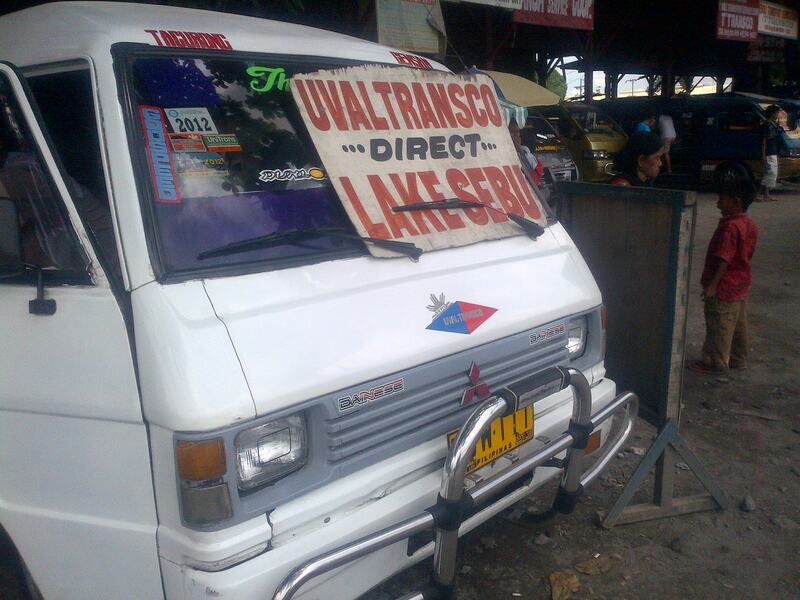 It’s what Victory Liner is to Baguio. 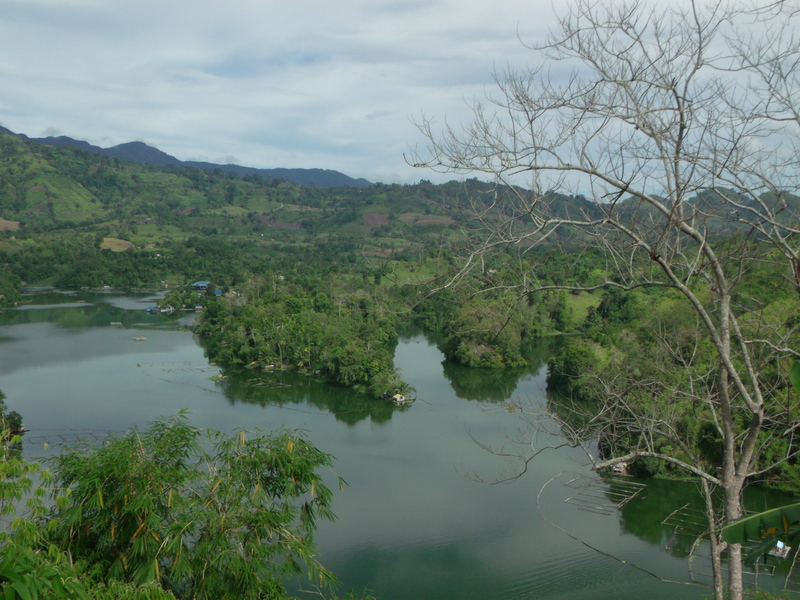 The moto driver had told me earlier that there was van going straight to Lake Sebu which was a better option to getting on the YBL to Surallah, thirty minutes away, then a 15-minute van ride to Lake Sebu. On inquiry, I was told by the security guard that the vans were on another terminal and I had to take a trike there. It was just a couple of hundreds of meters and cost Php me 10. Not going to Lake Sebu? How about heading to Surallah, Tacurong, Isulan, or Maitum? These vans go there as well. 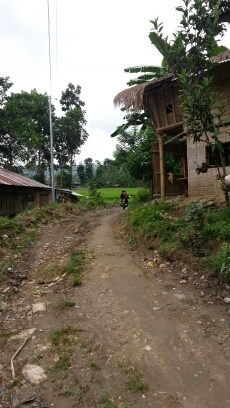 Whether it would have been faster if I had taken the Surallah-Lake Sebu route, I don’t know. But it seemed like forever before the van finally took off. When I arrived at the van terminal, a white L300 sat waiting there. The seats beside the driver had already been reserved by two girls. A big guy in a red sport shirt emblazoned with an embroidered logo was seated on the first passenger seat row. He told me to just sit beside him as it was cooler there. He was all sweaty but I did realize that the row also had the widest leg room. I asked him to reserve the seat for me and went to the store just behind the van. My backpack went to the small luggage space behind the last row of seats. On my count, there were five passengers already. It was going to be a long wait knowing that rural vans won’t leave without it overflowing with passengers. Look for this signboard on parked L300s at the terminal. Pick your seat, leave something non-valuable like a jack to mark it, then wait and wait and wait outside. Someone came along shouting, “lechon!” She was selling lechon in small plastic packages at Php 50 per pack. I was tempted to buy one but figured it might not taste good or worst, might upset my stomach. The van beside ours had already filled-up and was getting ready to leave for Maitum. There was nothing to do but watch the world go by and wait. I was digging into a pack of Oishi Baconnetes and sipping a bottle of Sprite when the barker motioned to me what we were ready to go. I had been waiting to close for an hour already. 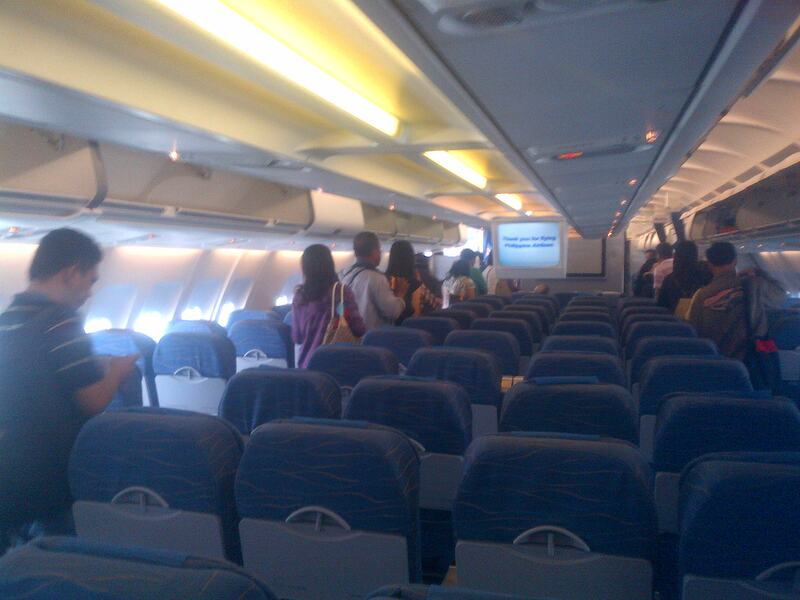 It was almost 12 noon and a couple of more passengers had boarded. The open windows let in some breeze as we made our way along the sealed highway. People got on and off the van as it also functioned like a jeepney ferrying passengers to nearby stops along the main road. At Surallah, we passed by the newish and modern-looking bus station where some kind of toll fee was paid by the driver to a small wooden booth by the side of the road. 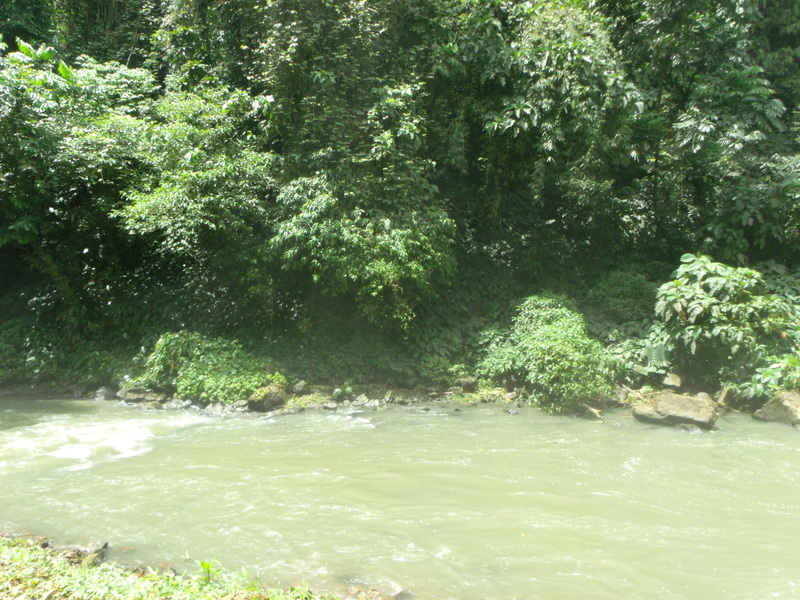 By the time we started climbing the curving roads to Lake Sebu, there were just about four of us including my seat mate. The weather had grown noticeably cooler and flat dusty plains gave way to rolling hills. The lake soon came into view and signboards of the resorts dotted the highway. The van dropped us at Poblacion which was the center of town. My stomach was grumbling so I hopped on a moto and sped to Punta Isla for late lunch. I had heard a lot about this place— that the food was good, that you could eat by the lake, and that it was the only lake-side accommodation. From the main road, we turned left to a stoney unpaved road, passed the T’boli Museuam and the COWHED shop, until we reached the end of the line. Cars lined the small parking area and as soon as I entered the open-air restaurant on the left , I knew I had entered into a tourist trap. 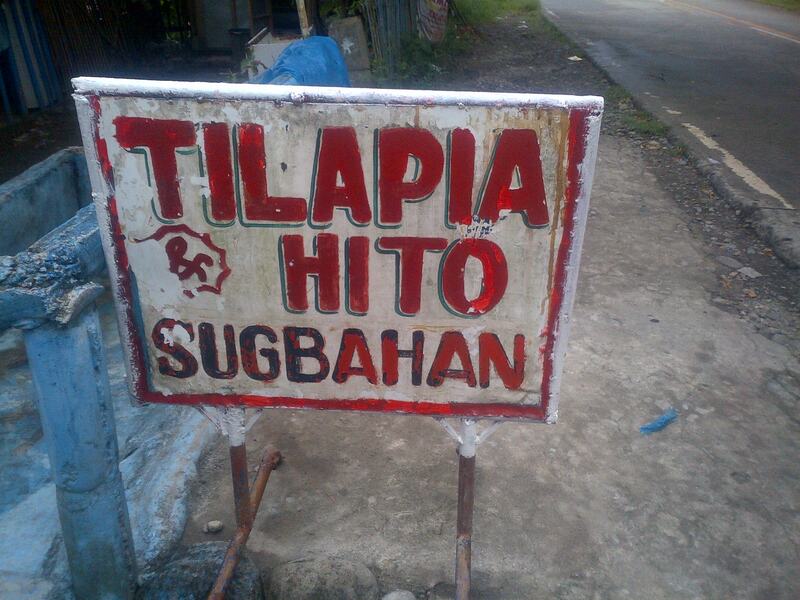 Perusing the menu, it was clear that I was going to have tilapia during my entire stay at Lake Sebu. 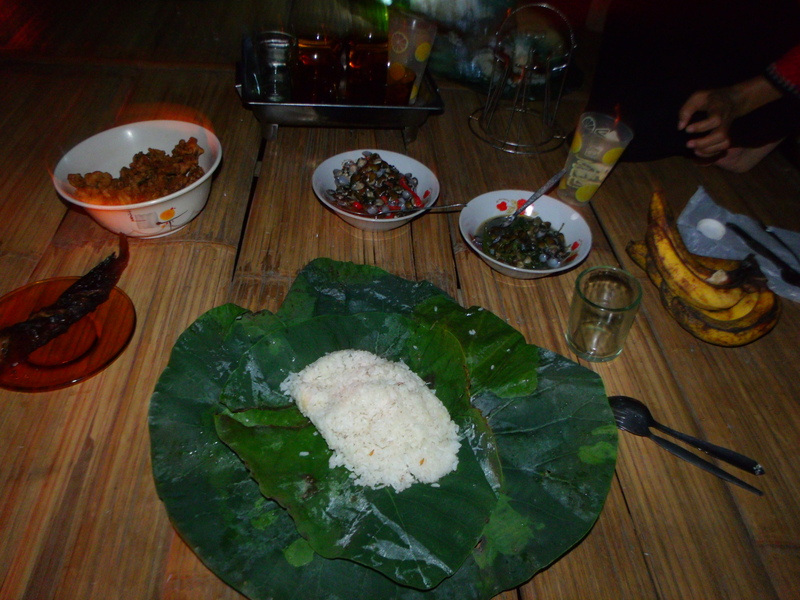 Servings were for four people as each dish was about a kilo of tilapia. That meant having to eat the entire 1 kilo of tilapia chicharon all by my lonesome self with no one to share it and the cost (Php 190) with. “You can have the rest wrapped to eat later,” the helpful waitress suggested. While waiting for lunch, I went down to the floating restaurants. 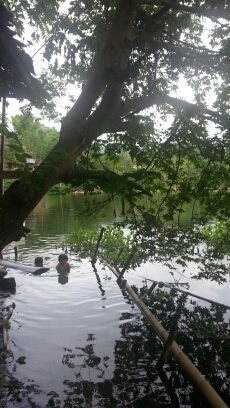 Though picturesque, it quite frankly smelled like one big giant fishpond. A fishpond full of tilapia. What would have otherwise been a quiet tranquil lake was marred by the sight of so many fish pens. It was really really ugly. 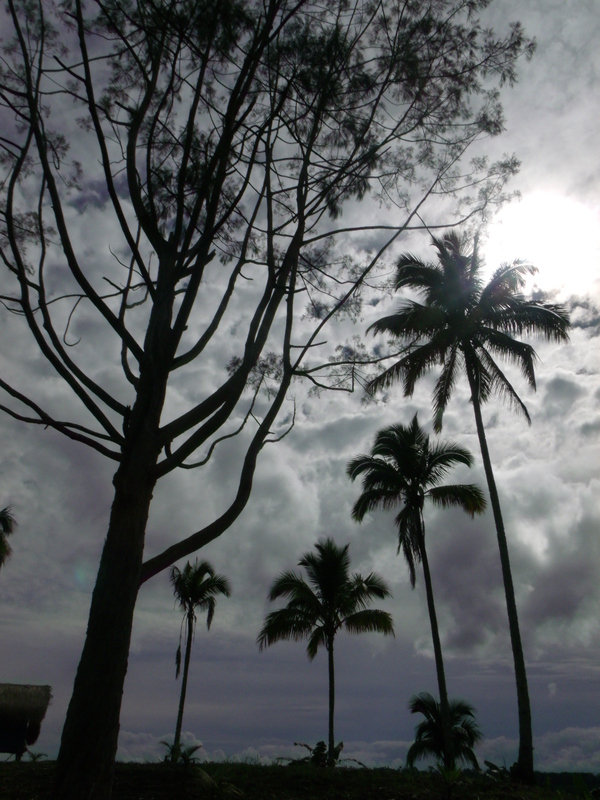 Punta Isla itself was ugly. This was one resort that really stuck-out like a sore thumb. I was sure glad I wasn’t staying there. Concrete hulking structures, noisy tourists, and a general look and feel of tackiness and wanton crass commercialism. The only thing interesting was a small zip line that carried stuff in a basket from the kitchen to the lake. 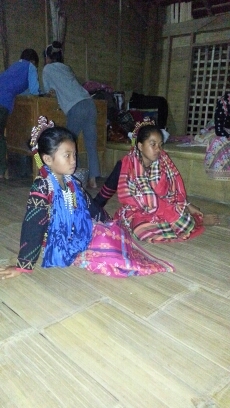 A couple of T’boli girls were in full regalia seated at a bench probably waiting for their dance number for the mandatory cultural show to the guests. Lunch was ready by the time I returned to my table with a view of the lake. 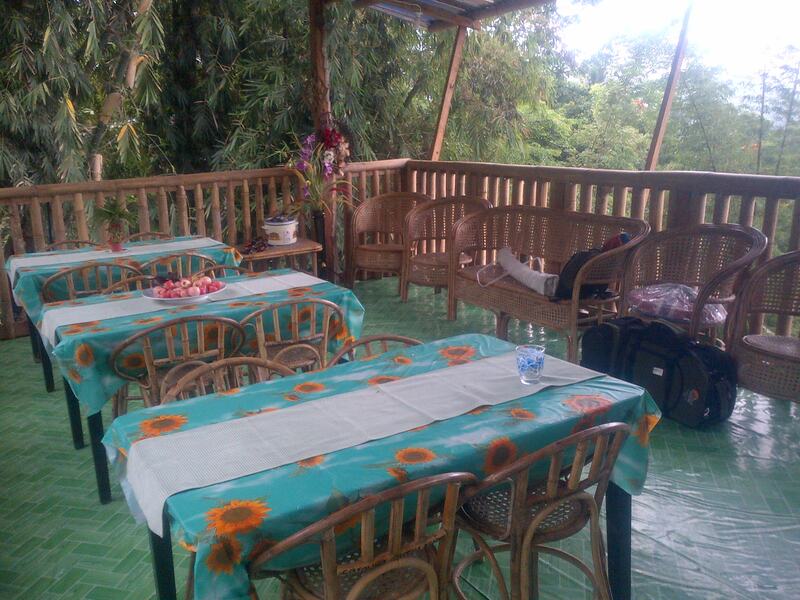 More local tourists had come in and the place was threatening to have the look and sound of Tagaytay on weekends. I was expecting a videoke to start blasting soon. The serving was really plentiful as a kilo of tilapia was equal to two big fishes. I nearly chocked with all that deep-fried tilapia meat. 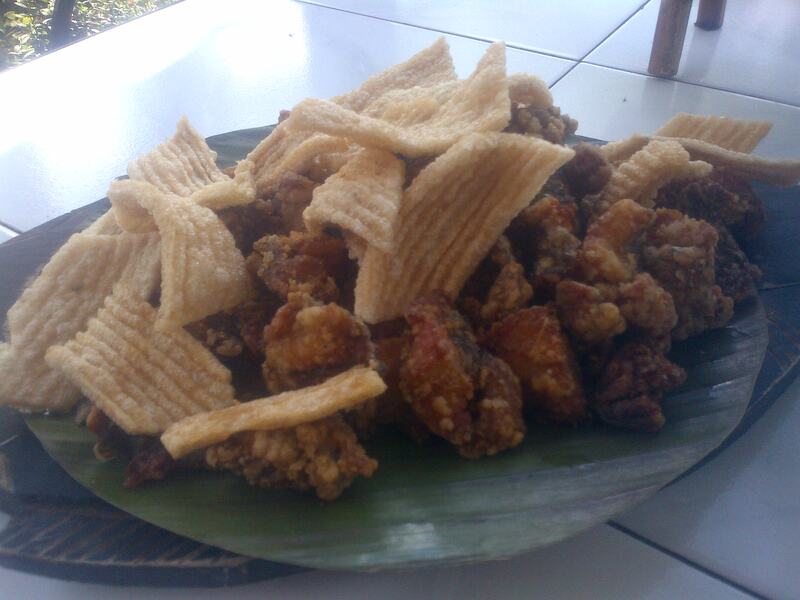 The meat had been filleted and cut into bite-sized pieces which were deep fried to a crisp. It was really good though especially the bones which were cooked intact. As Colonel Sanders would say: it was finger lickin’ good. The start of the tilapia diet. 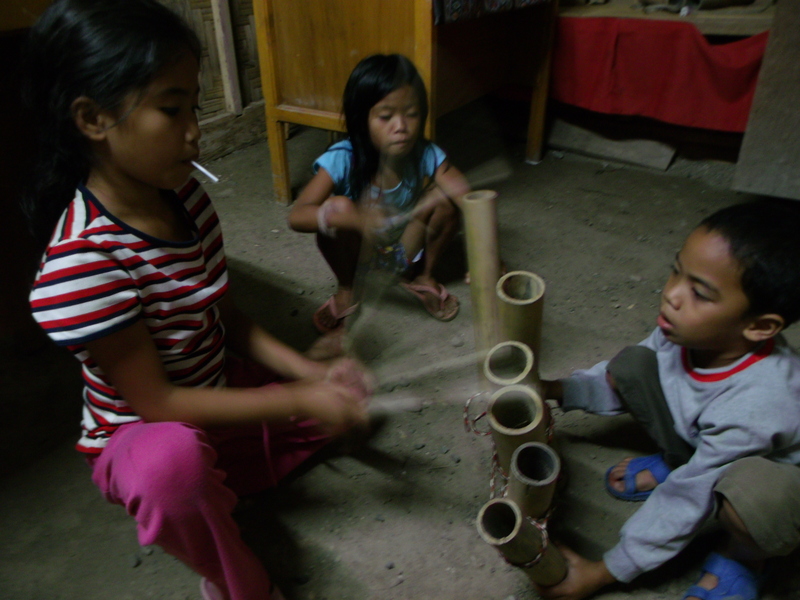 I made a quick look-see at the souvenir shop which was selling a kulintang set for Php 15,000 and a used Dream Weavers documentary VHS for Php 550. I was tempted to buy the latter but since it was a used copy, I wasn’t sure if it was gonna play. I wished the CCP would re-issue it as I lost my copy. Out of Punta Isla on board another moto and on to Green Box pharmacy. Maria, whom I had contacted through the internet, had texted me that I was to stay at the guesthouse at Green Box just opposite her house. 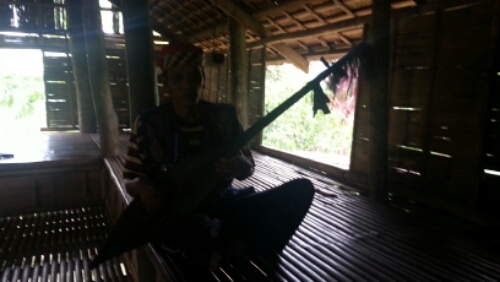 Her tribal house had fallen in disrepair and could not accommodate me so she booked me there instead. The arrangement suited me. 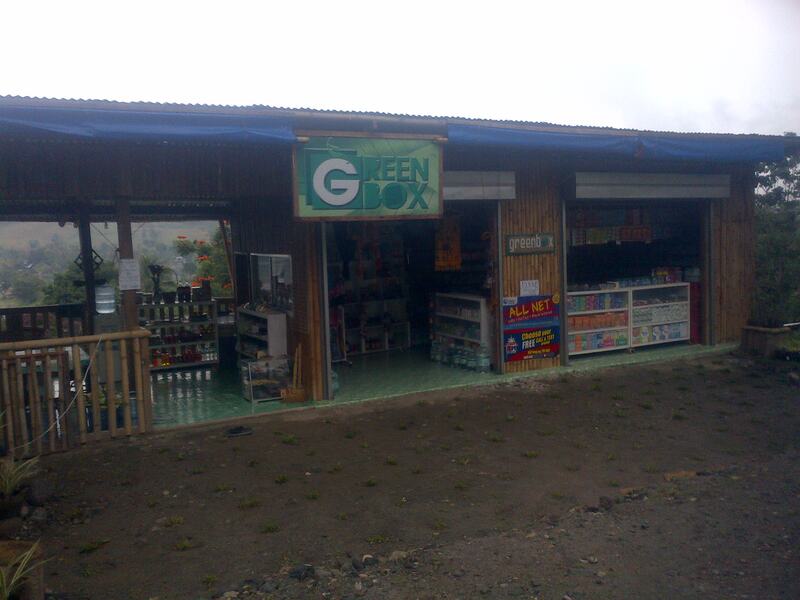 The Green Box pharmacy was on the side of the road overlooking a small patch of greenery, a cluster of huts, and of course, the lake. There are more than medicines in this pharmacy. It looked really neat and tidy. Aside from medicines, there was a whole lot of other stuff being sold such as junk food, canned and bottled drinks, instant noodles, and other things you might suddenly need such as a pink headband or a plastic bracelet with letters you can arrange to form a message. 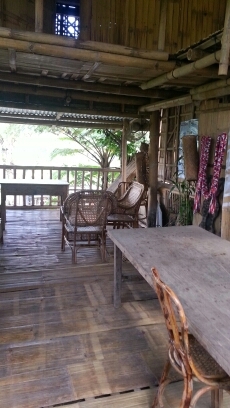 The attached open dining area was very breezy and looked like an inviting place to just lounge around. A short flight of steep stairs by the side of the dining area led to the four small guest rooms that faced a slope. A few meters away was the common bathroom. The place had barely been open a month and a lot of things still needed work. 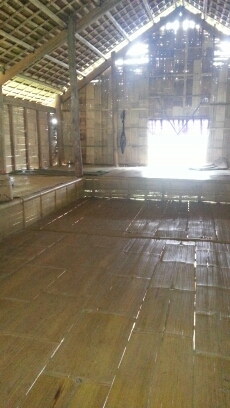 The bathroom wasn’t tiled yet and construction stuff littered the slope. My room was very clean though and smelled of fresh paint. It was large and had a queen-sized bed and a night stand. The staff, led by Elmer, who also stays in one of the rooms were very accommodating. I was to learn later on that they were quite worried about my arrival as they were totally unprepared to accept anyone. 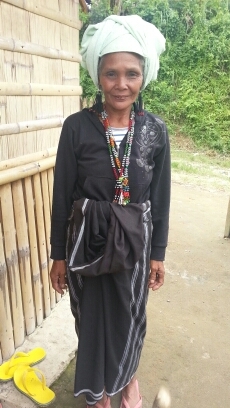 Maria, who also goes by her T’boli name of Oyog, had been unable to accept me in her homestay as her tribal house needed repairing. Fortunately, there was Green Box and she managed to persuade them to accept me their very first guest! The room was Php 550/night which included breakfast. Since I had brought my stash of cereal drinks, I asked if I could just convert my breakfasts to dinners to which they agreed. They asked me what I wanted to have for that evening. I couldn’t think of anything to request. They said I could ask for anything as long as it was in their capacity to cook it. After all that fish for lunch, the only thing I could think of was vegetables. I took-up their suggestion of pakbet. 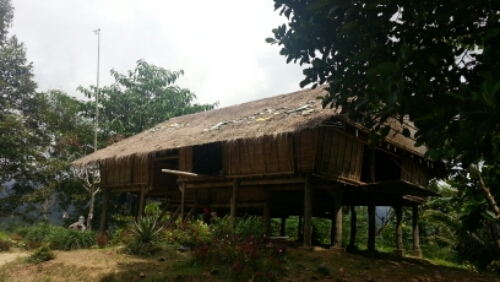 Across the road and up a small hill was Maria’s office and house opposite of which was SIKAT, the school of indigenous knowledge for T’boli children. I had found Maria through the internet and learned that she was a cultural worker and ran homestays. I knew she was going to be a minefield of information and could lead me to what I wanted to see and do. No, the zipline wasn’t in my bucket list though I had a mild interest to see the famous waterfalls. What I wanted most was to meet musicians and dancers and experience the culture. Taling to her and seeing pictures of her and even a plaque showing her participation in a Smithsonian festival, I knew I had met the right person. Hear the ringing of the bells . . . It was mid-afternoon so there was still time for a boat ride across the lake to the biggest island from where we could go all the way up and see the sun set. We headed down the road and to a small pathway to a small slew of huts by the lake’s edge. It had began to rain by then and we sought refuge in a small house. It was obvious that there would be no boating. 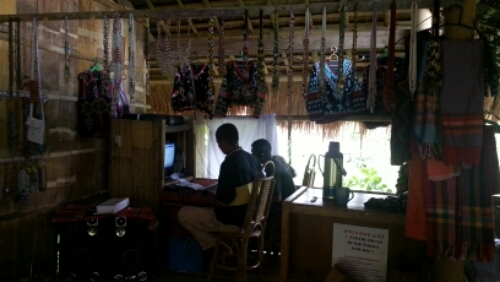 When the rain stopped, we headed instead to some houses to see some beadwork being done. The T’boli were master bead makers and it had become a home industry to them to created beaded necklaces and belts to be sold to the tourist market. 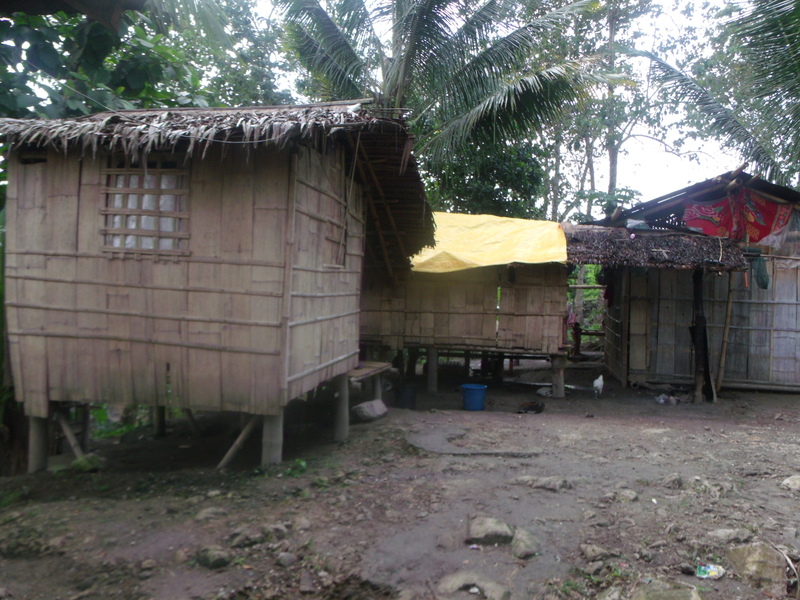 We walked past some rows of houses and on to a small cluster of huts where a family of brass casters lived. Work was over for the day and they were just lounging around with a few kids playing. About a dozen newly casted bells sat on the ground waiting for the tiny bell inside to be attached. I bought one for Php 150 and they promptly went to work cleaning the bell while a woman started hacking off the newly-casted small bells. It was hard work watching her as she set about hamming the clumps of small bells so they could all be separated from each other. 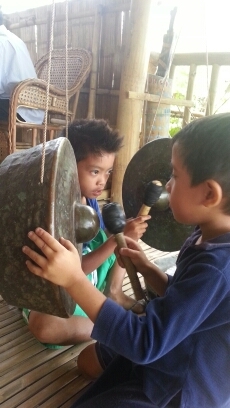 The small bells cost Php 5.00 each while the bigger one was Php 15. A couple of minutes later, my newly-made bell was ready all shining and gleaming. Maria, whom I shall now refer to as Oyog, said that their family came from a far-off village that was famous for brass casting. My bell was really nice and light and had a pure ringing sound compared to the bells I bought a decade back in Aldevinco in Davao. Edgar Allan Poe would be proud of the sound of the bells. This woman is making tiny small bells used in accessories. 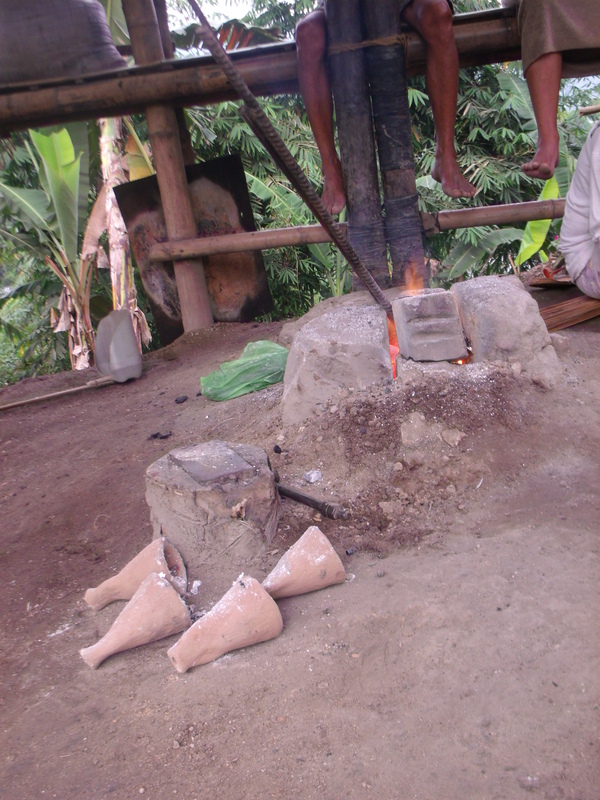 The T’boli cast bells, belt buckles, and other items using the lost-wax method. 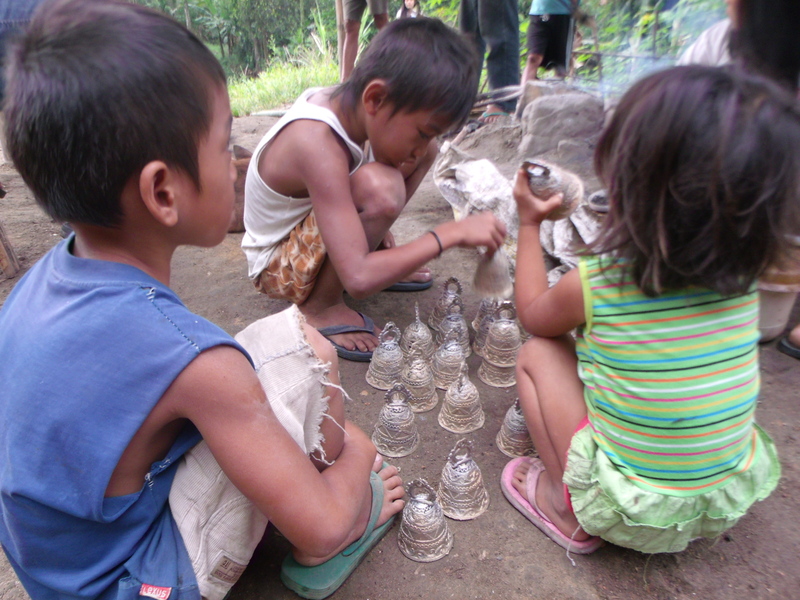 These kids are playing with newly minted bells. Young as they are, they know how to tap the bells to remove any soil and debris left-over during the minting. We were going back the next day at 6 in the morning which was the time they work on their casting. There wasn’t much to do after dinner. I was all alone and the two girls who were running the pharmacy had gone home. Only Elmer and I were left so we just sat around and told stories. I had a really nice vibe about the place even with its minor inconveniences. There was nothing really remarkable about this day. I admit I was a bit disappointed with Lake Sebu as I envisioned a really tranquil lake where you could just by the shore and do nothing. But the sight of all those tilapia cages totally shattered any illusion. Add to that the blast of the videoke from the lakeside restaurants. 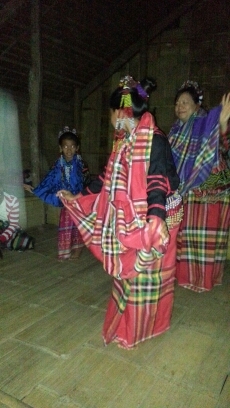 But I had come to Lake Sebu more for the T’boli people and their culture. Though it became obvious as soon as I got off the van at Poblacion that it wasn’t really going to be easy to find it. 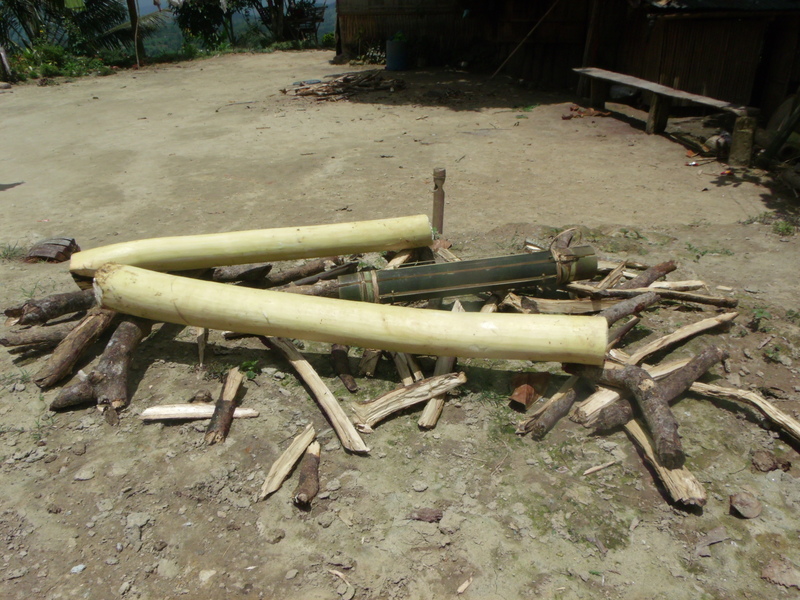 The T’boli look no different from you and me. Their colorful wear and accessories are reserved for important occasions or when going to church (Yes! They’re either Catholic or Christian nowadays).